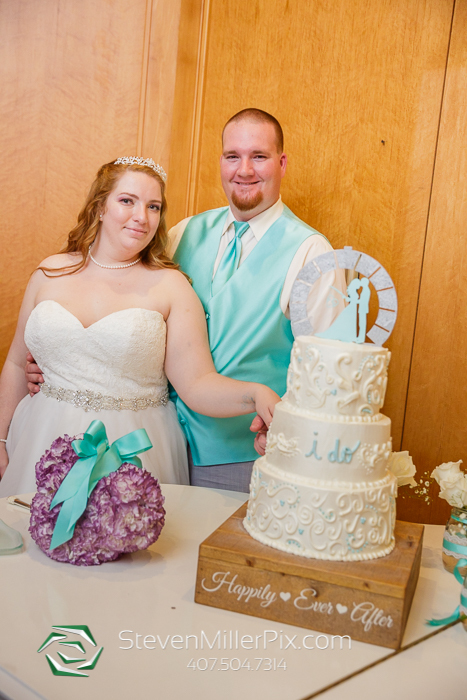 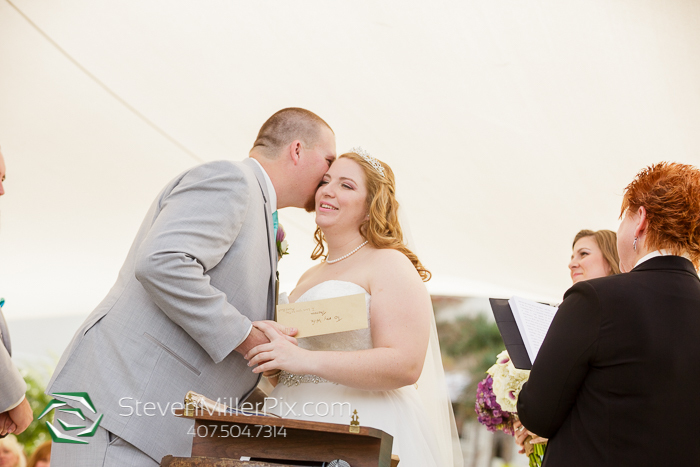 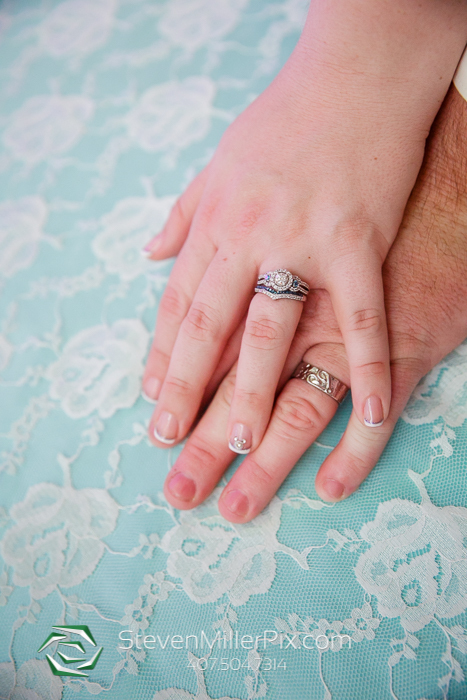 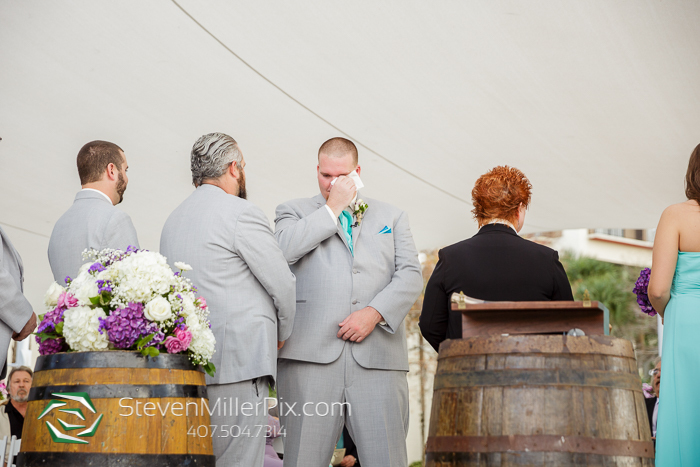 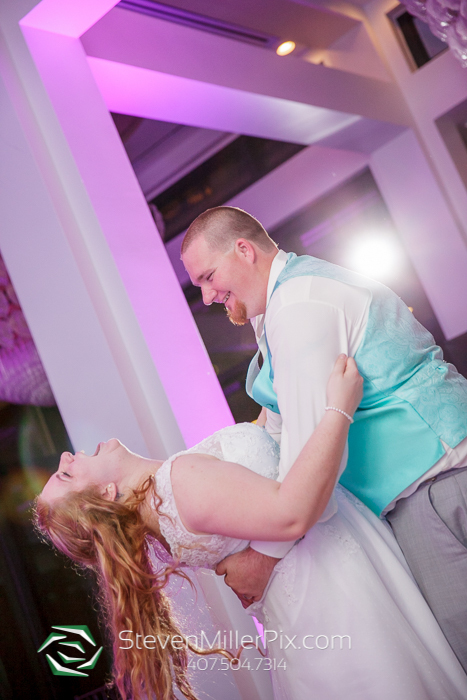 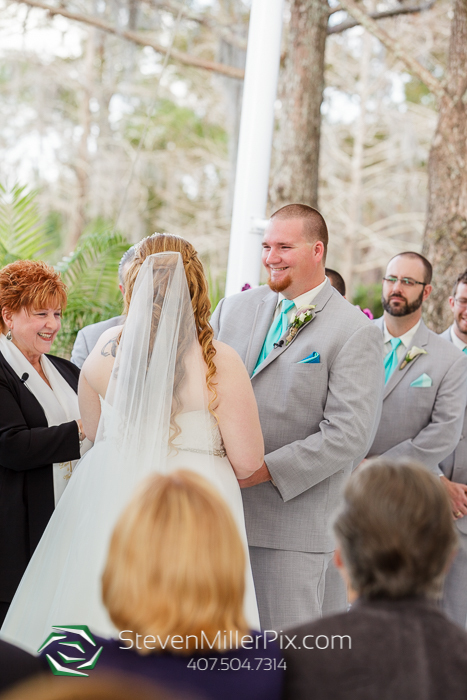 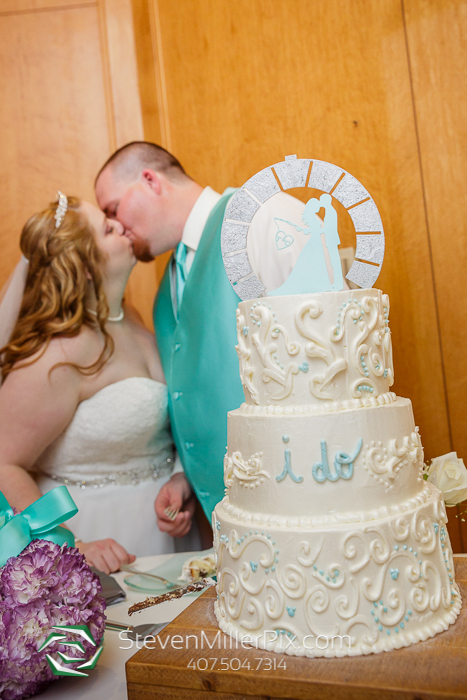 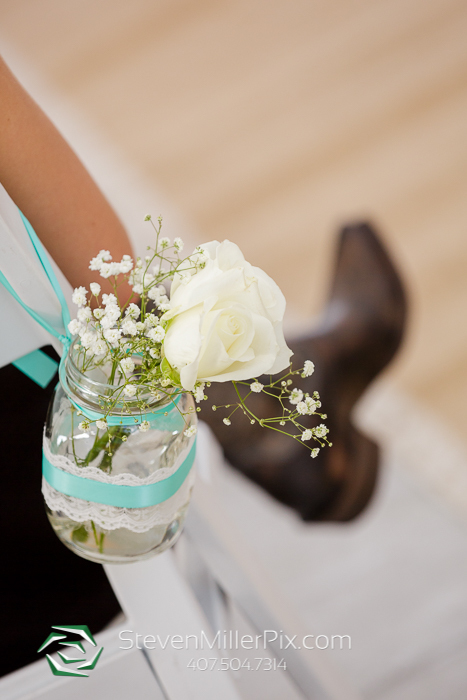 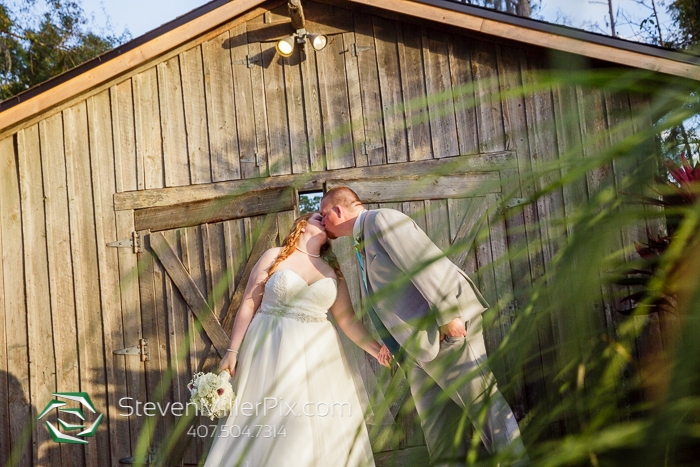 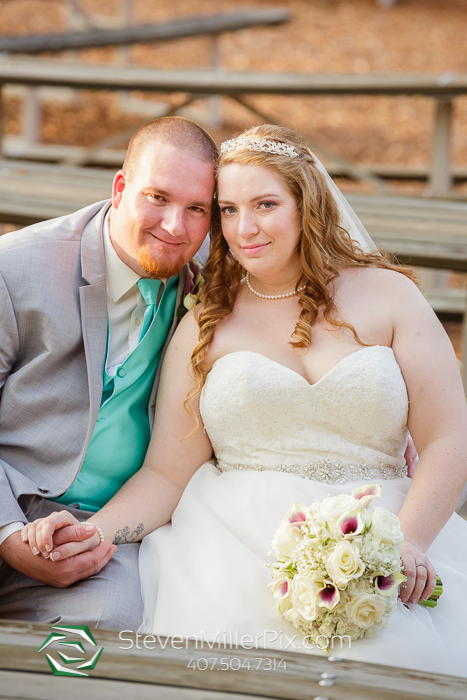 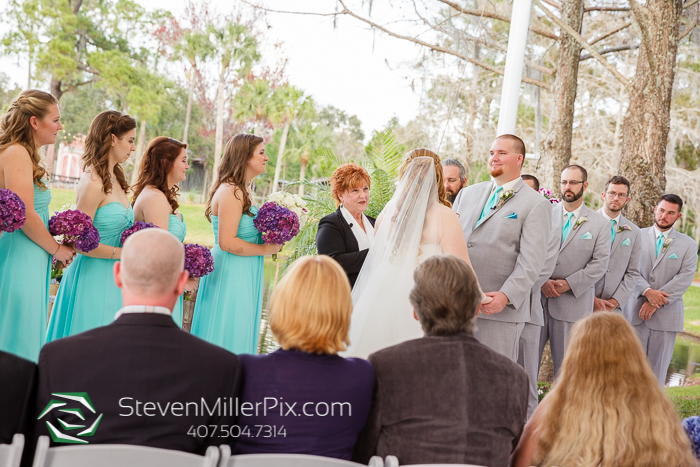 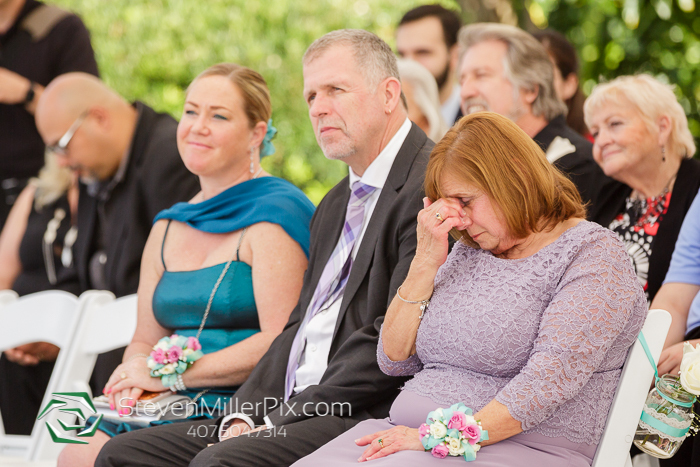 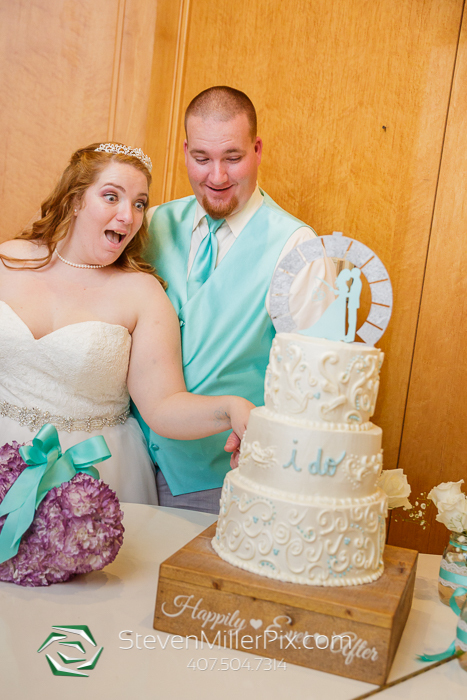 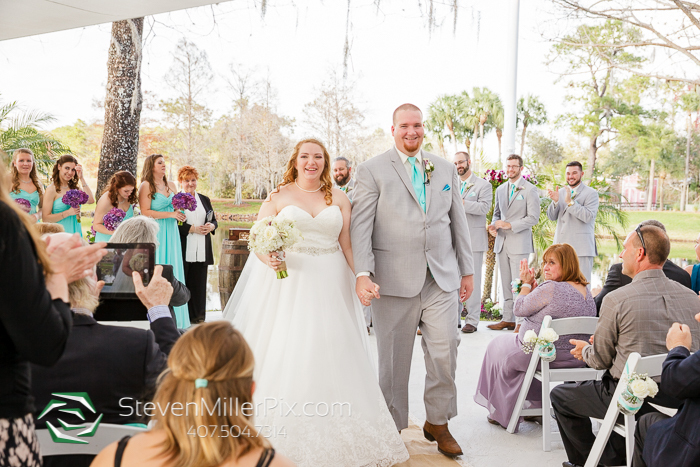 Theresa and Cory’s wedding day was absolutely perfect! 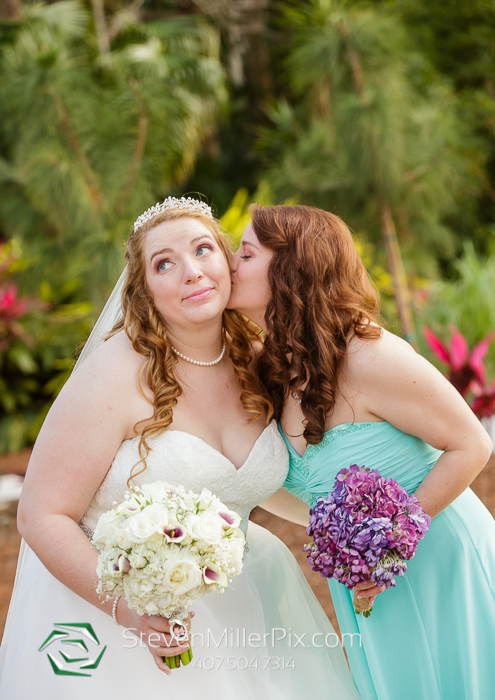 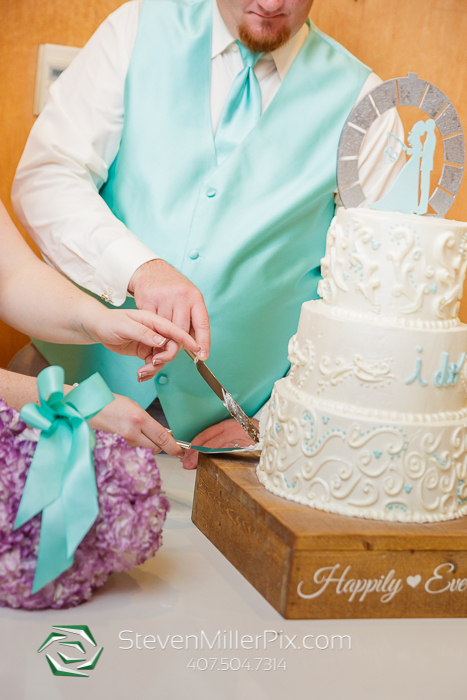 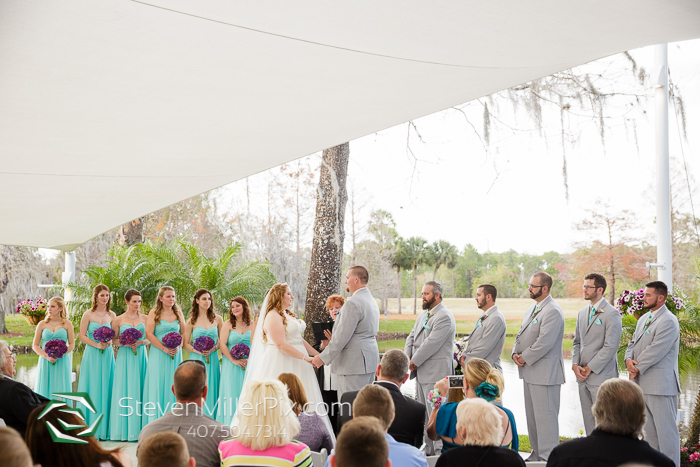 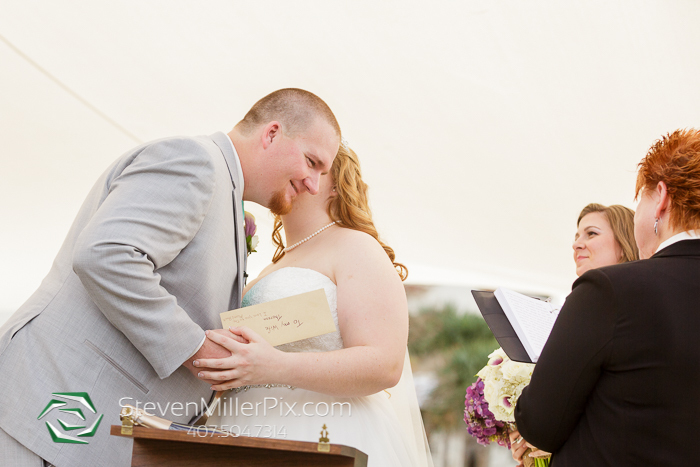 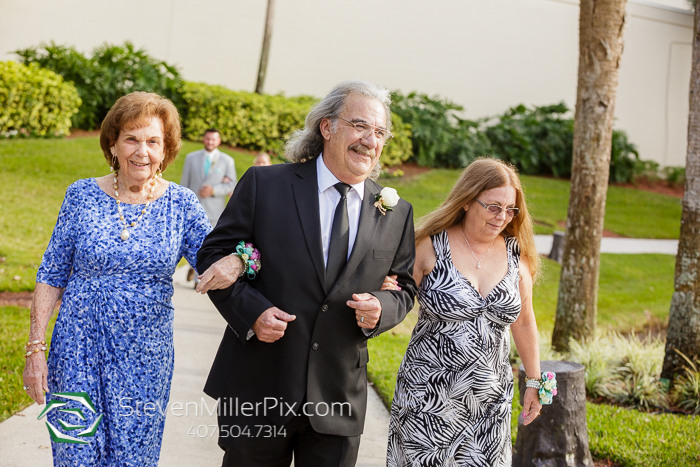 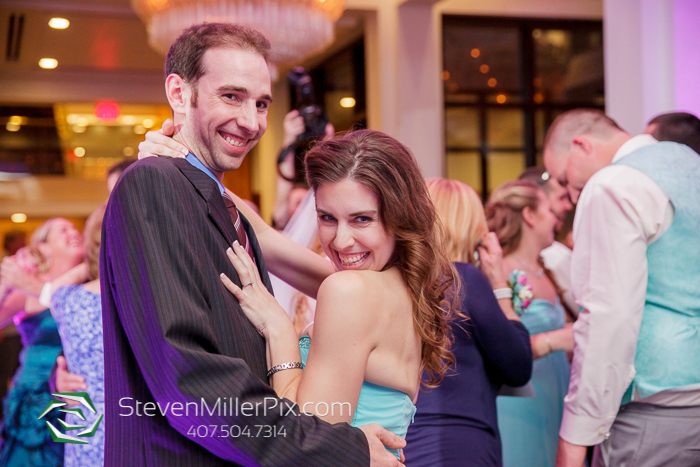 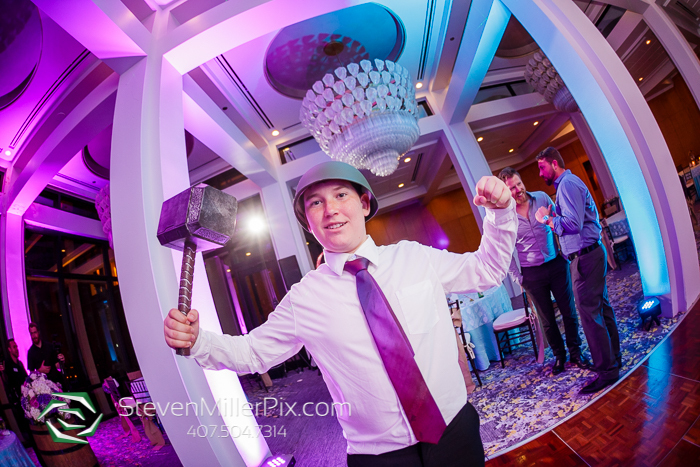 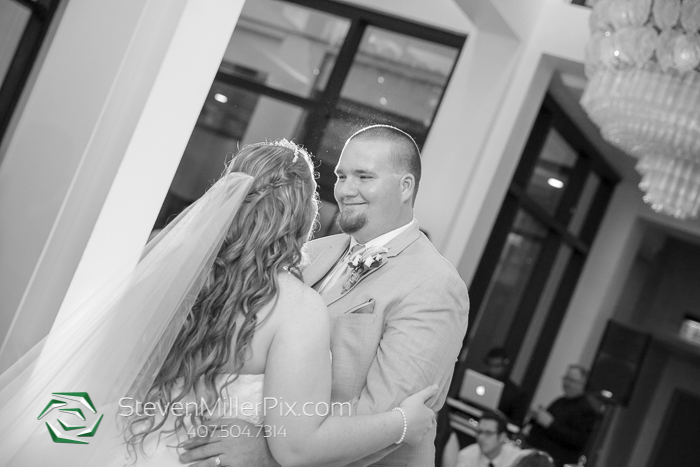 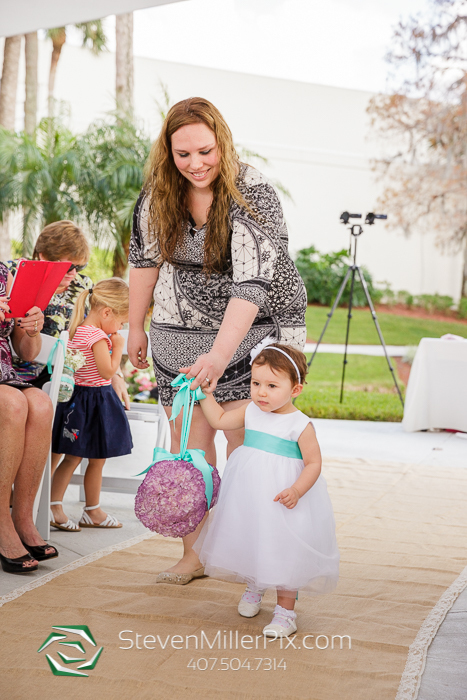 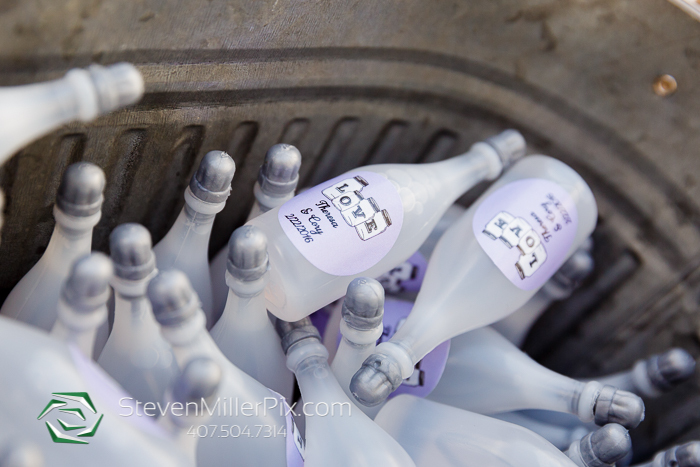 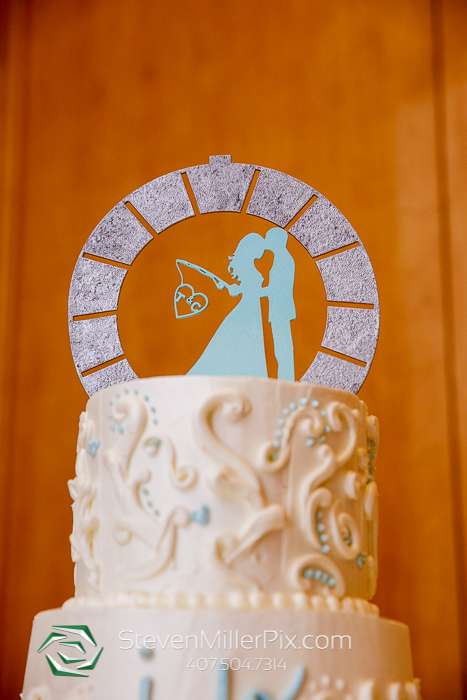 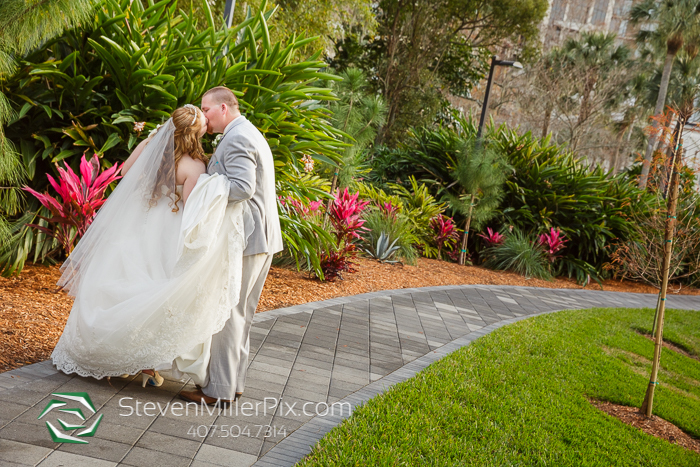 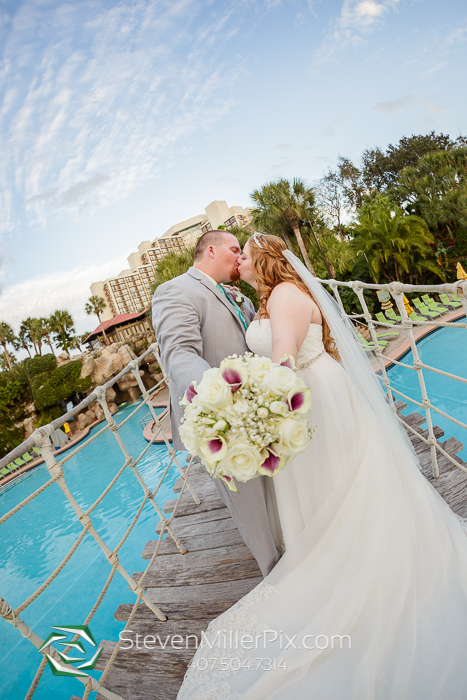 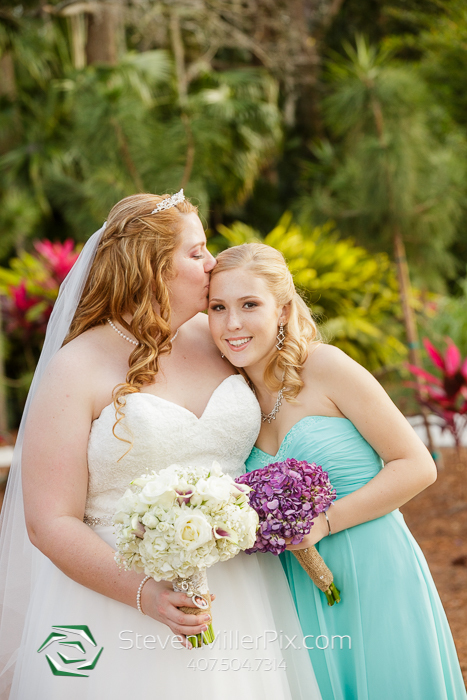 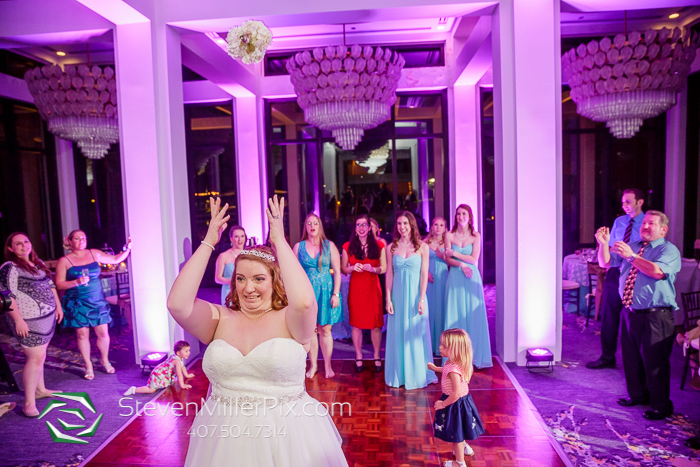 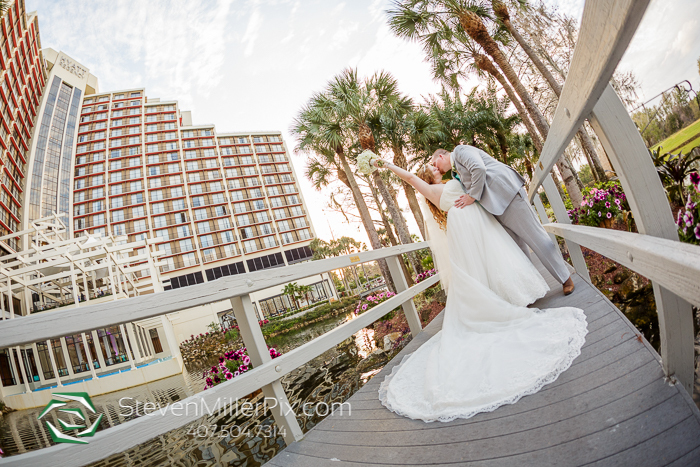 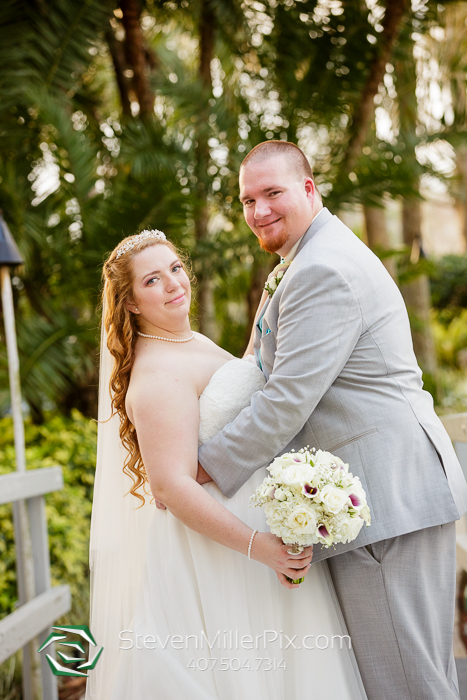 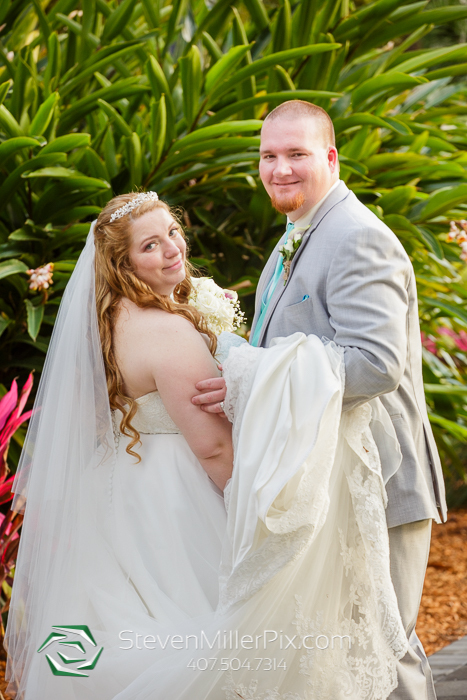 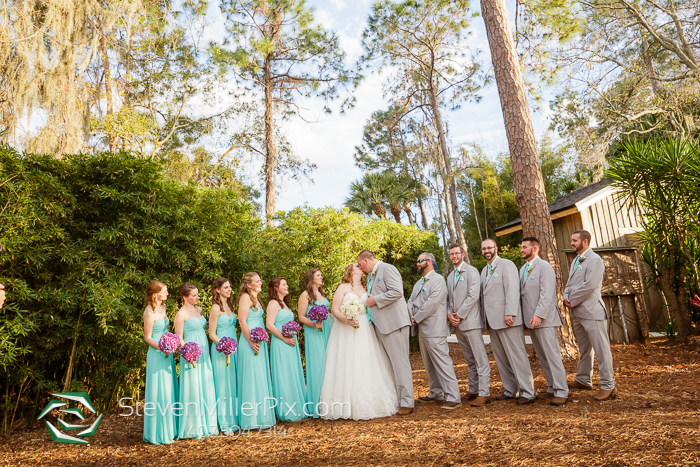 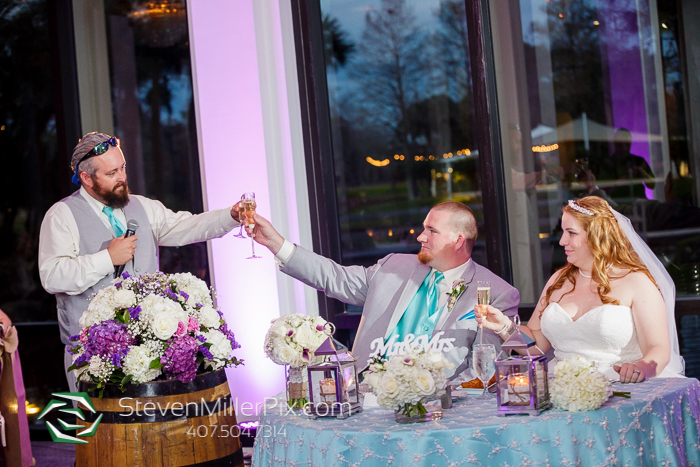 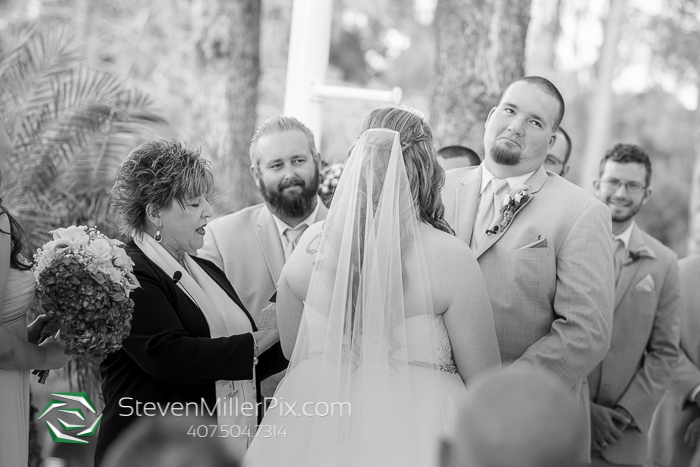 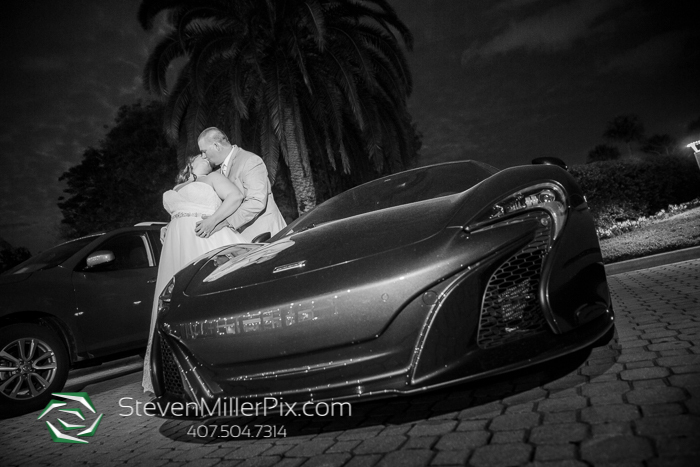 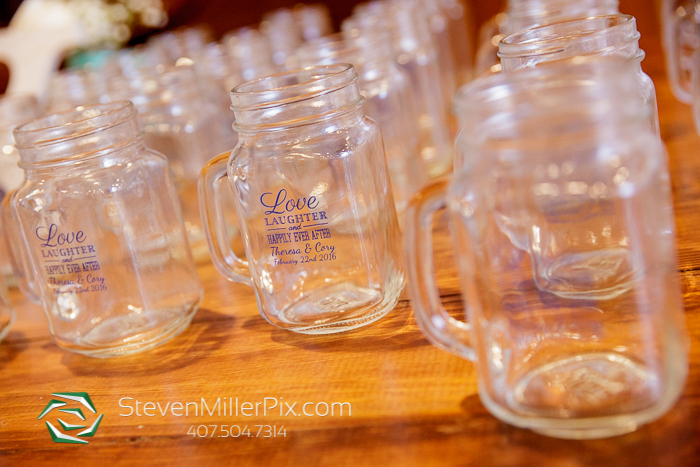 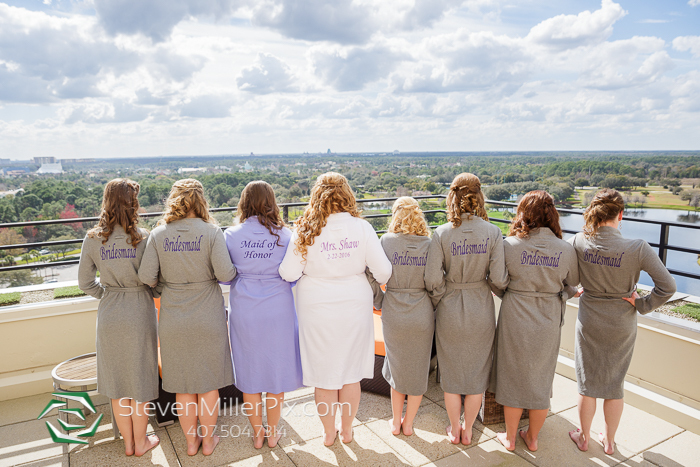 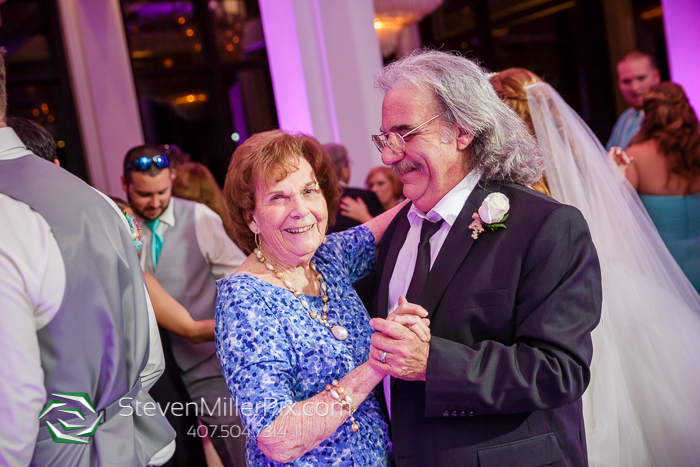 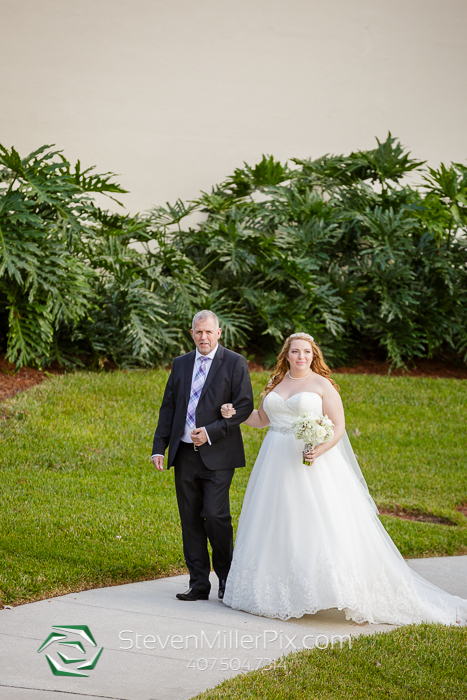 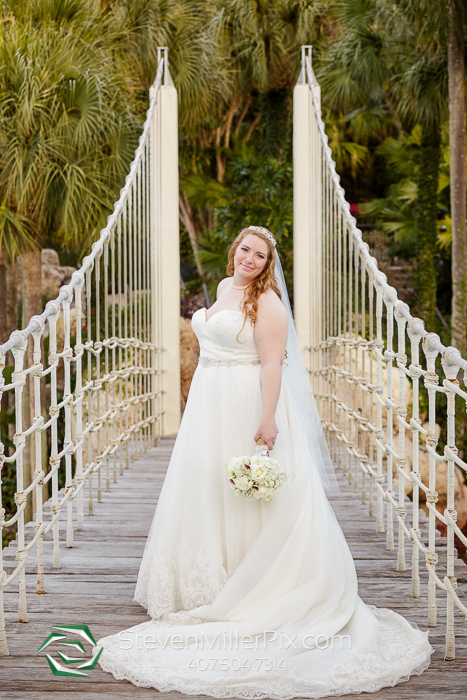 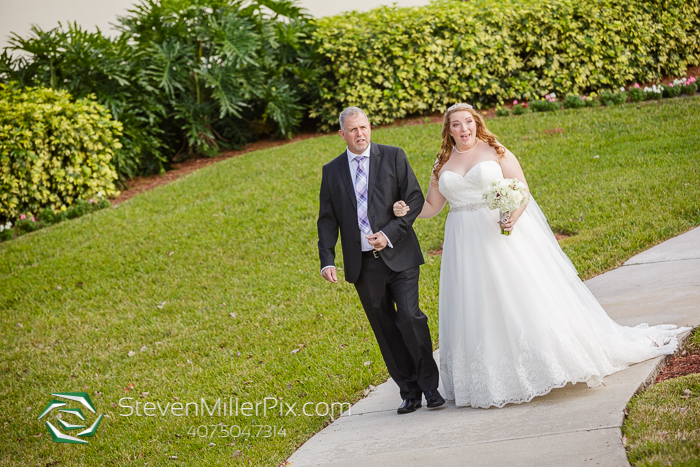 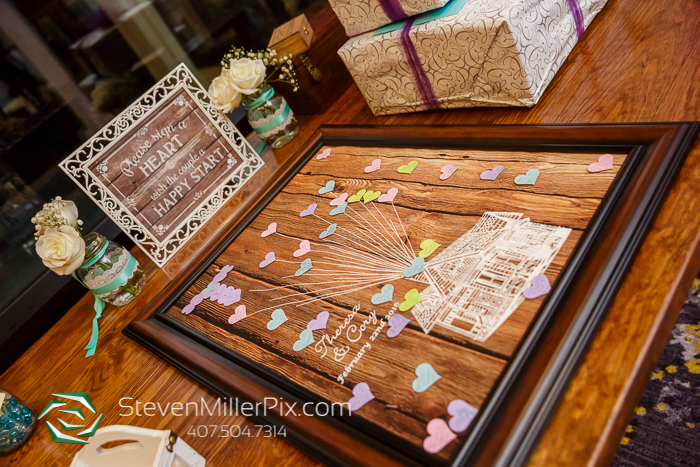 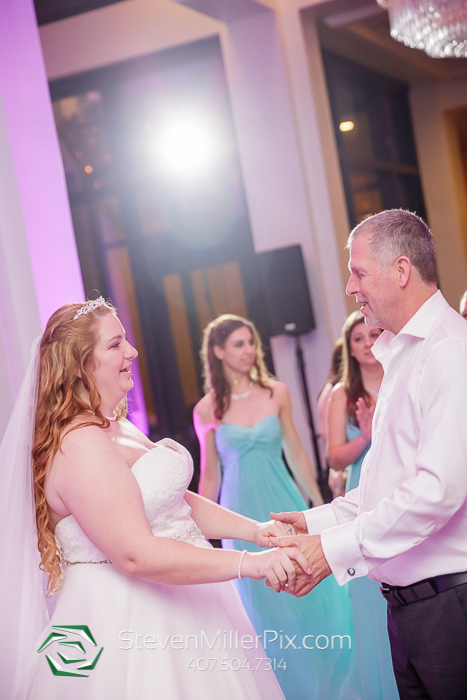 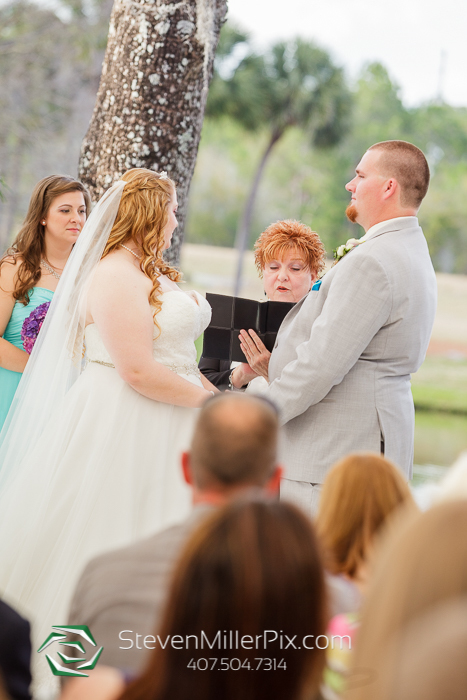 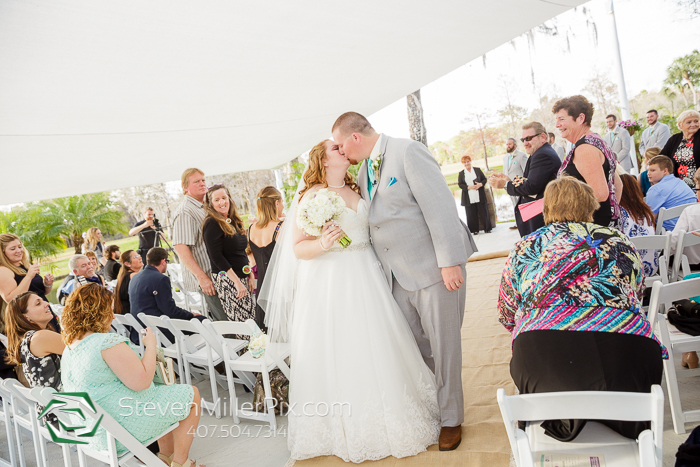 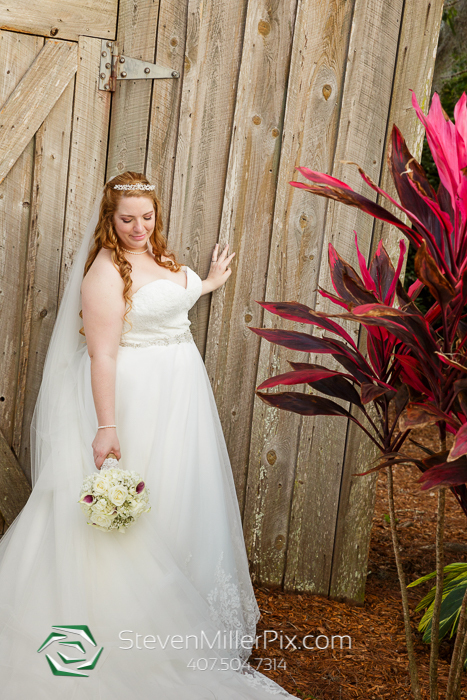 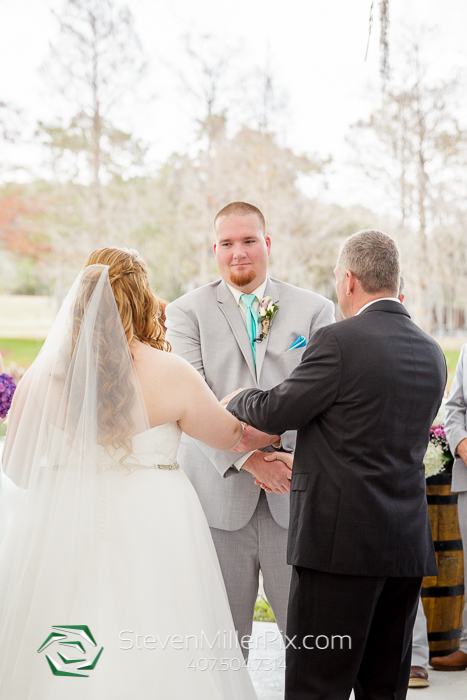 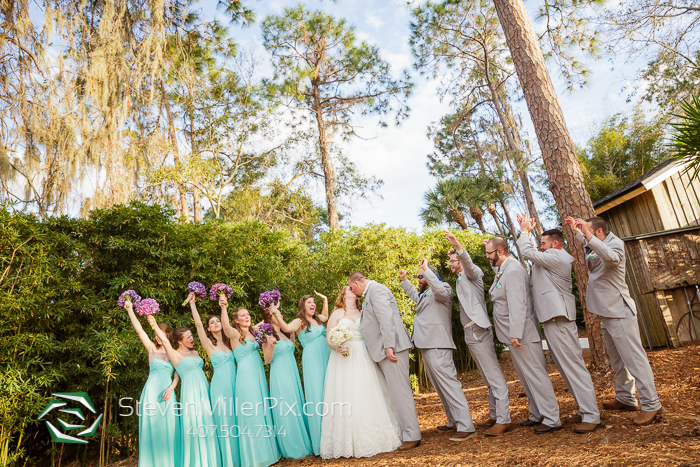 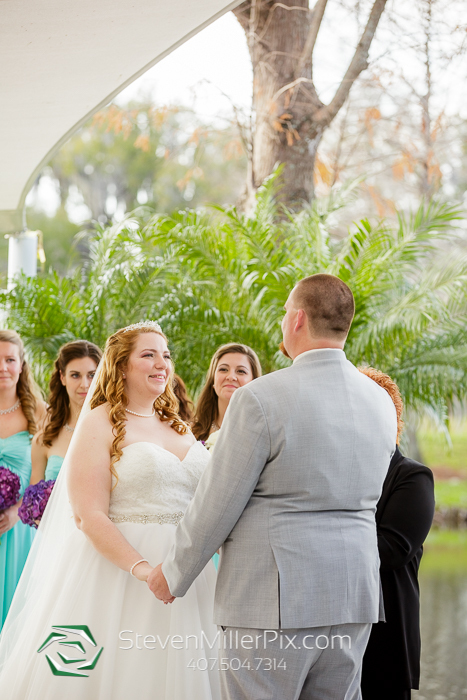 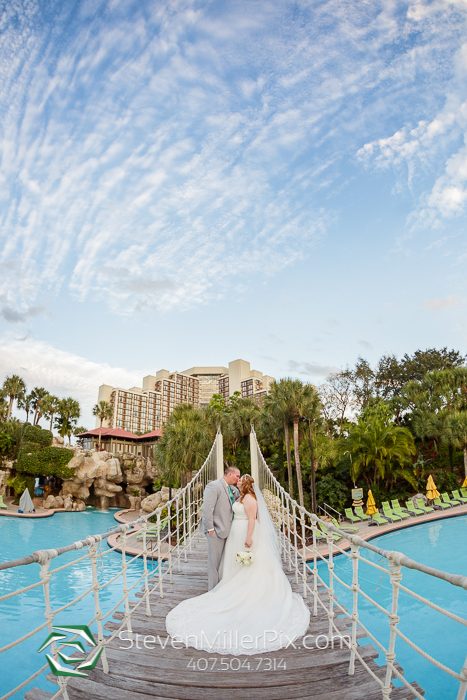 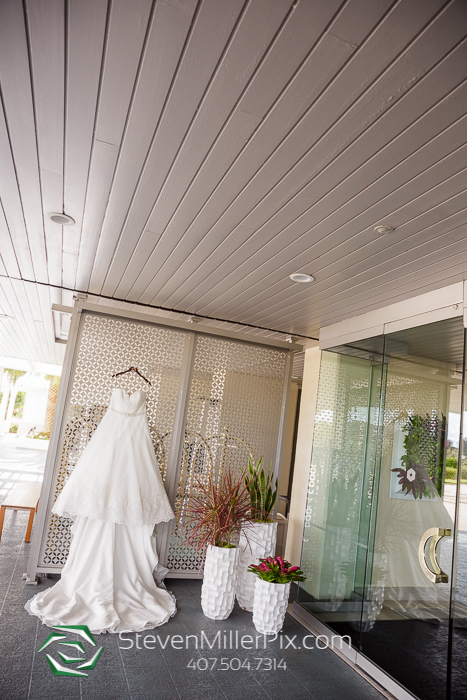 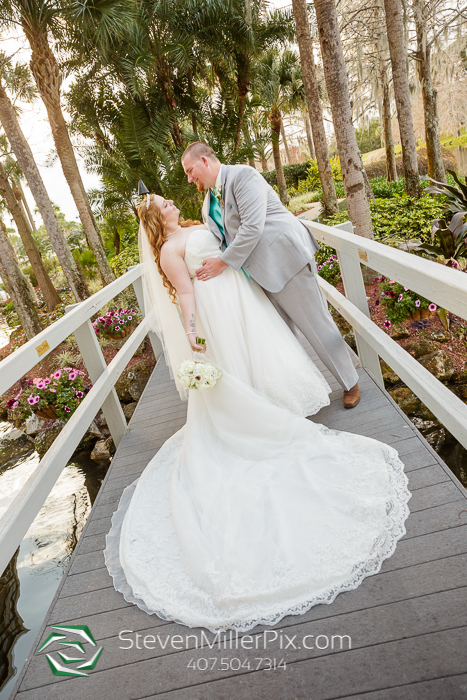 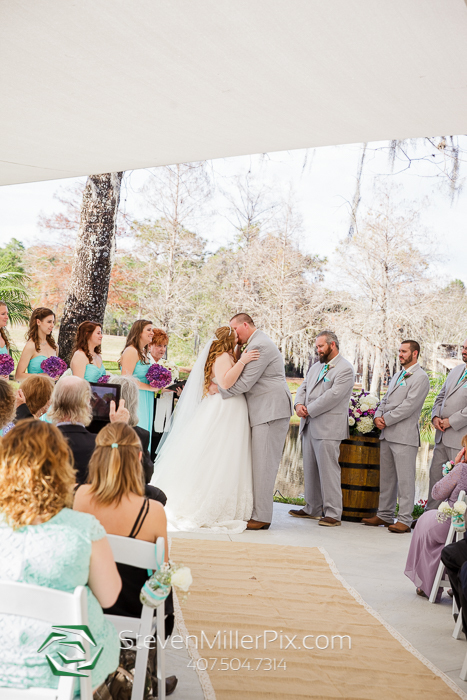 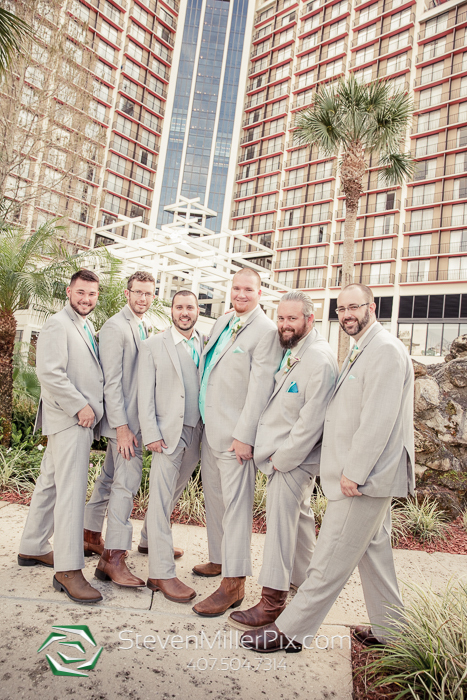 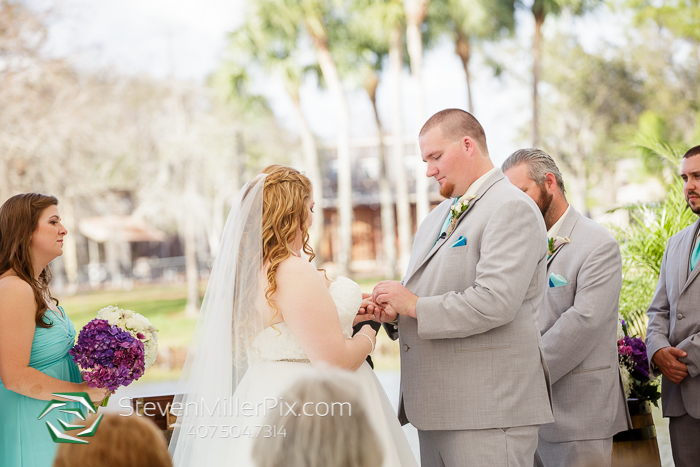 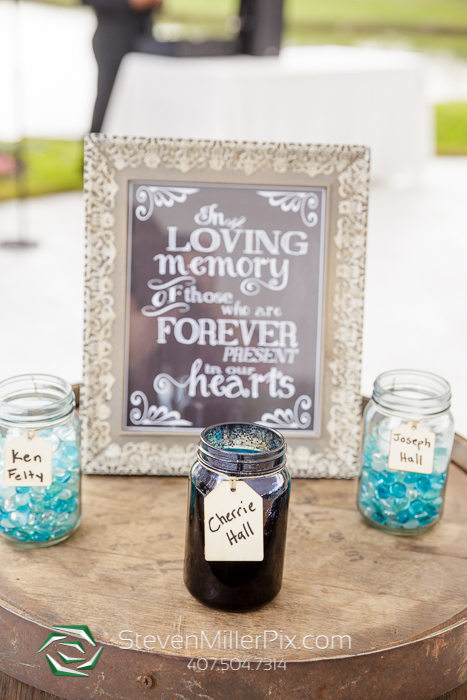 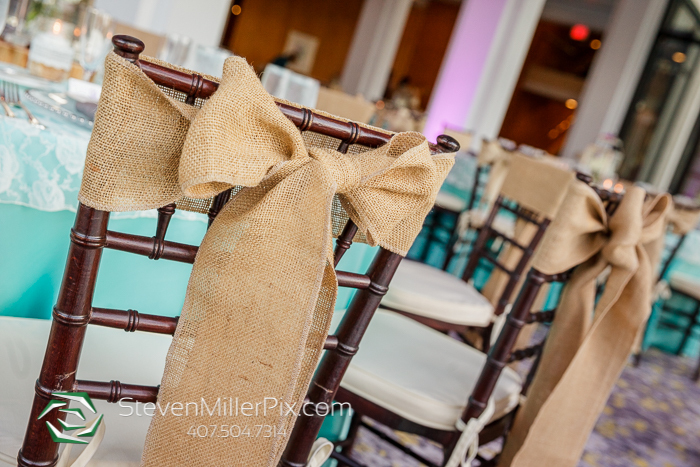 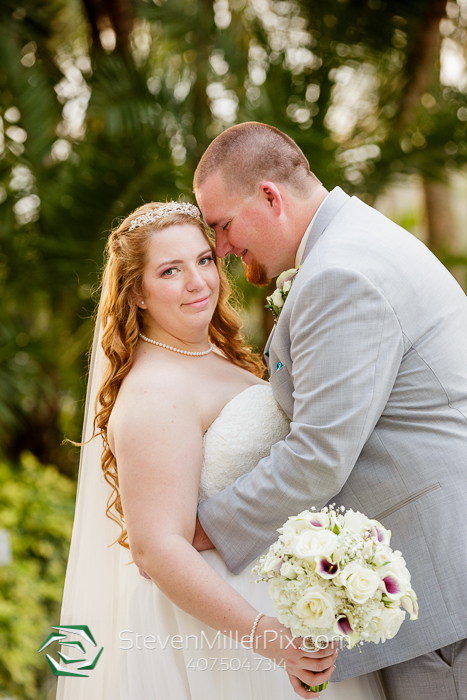 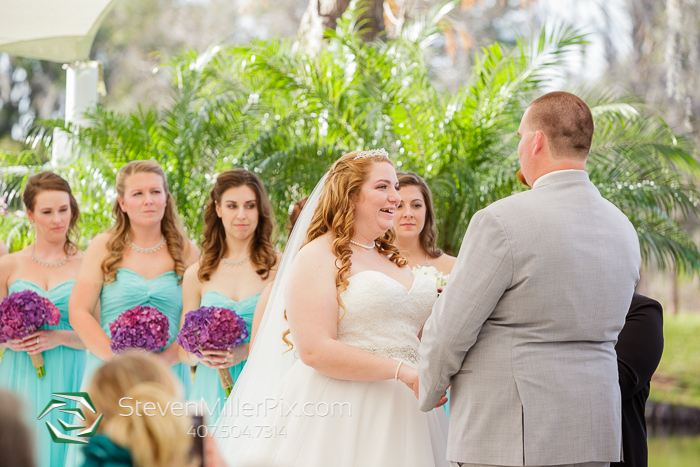 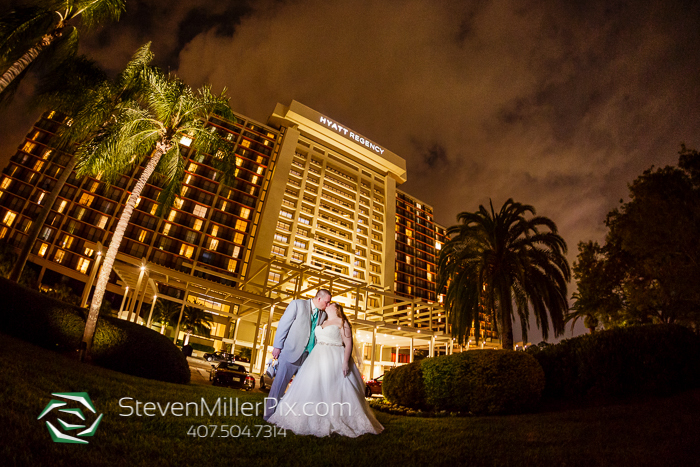 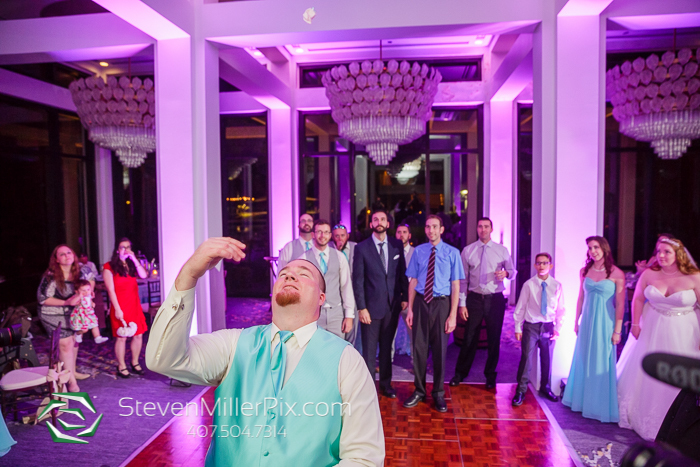 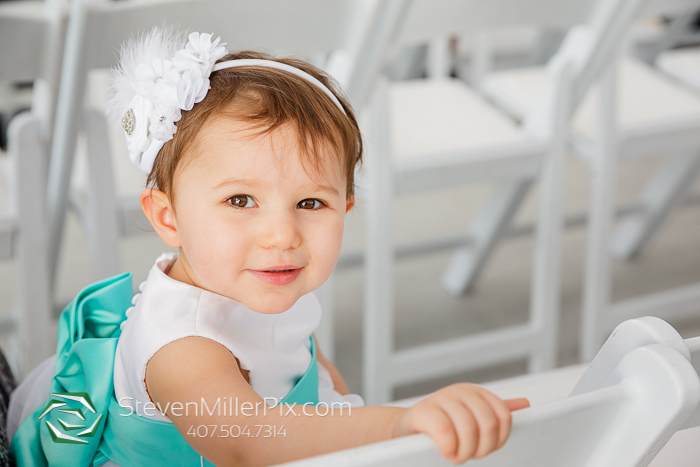 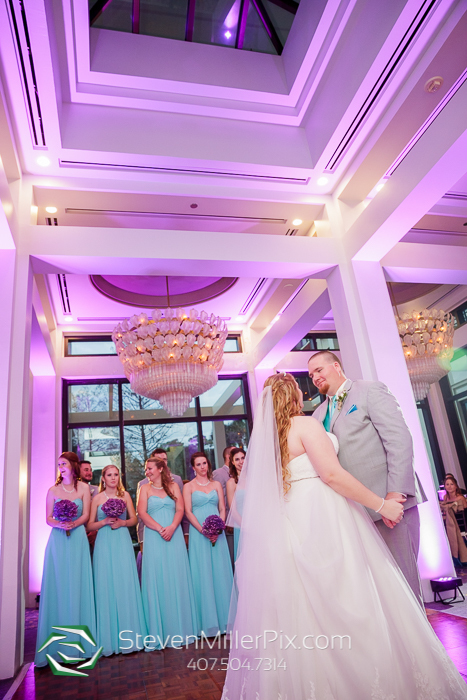 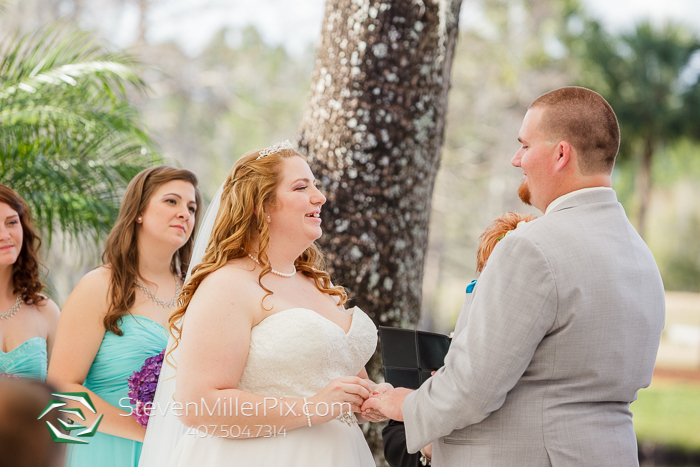 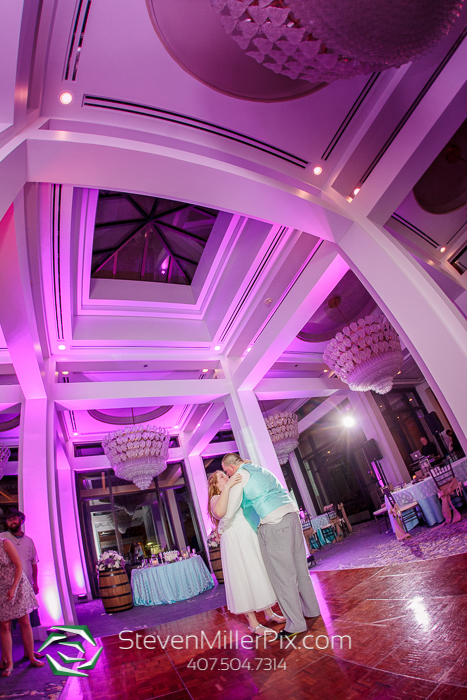 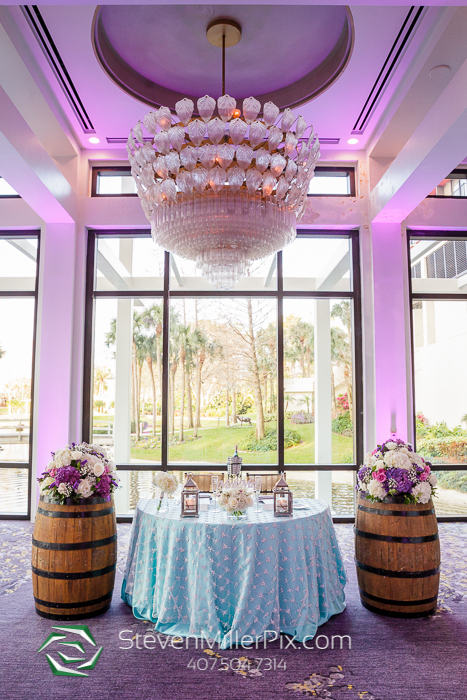 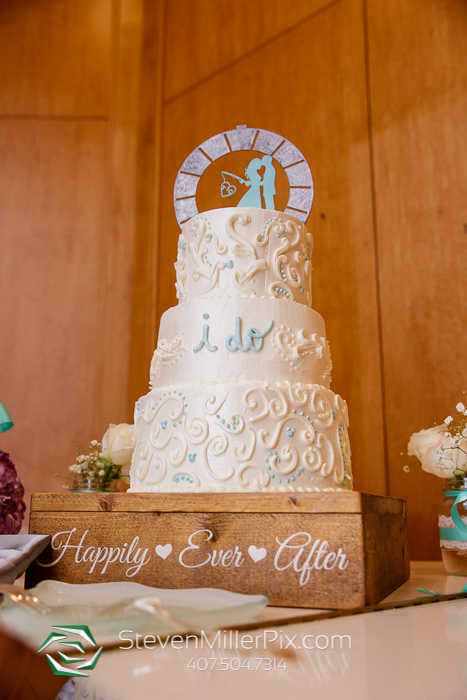 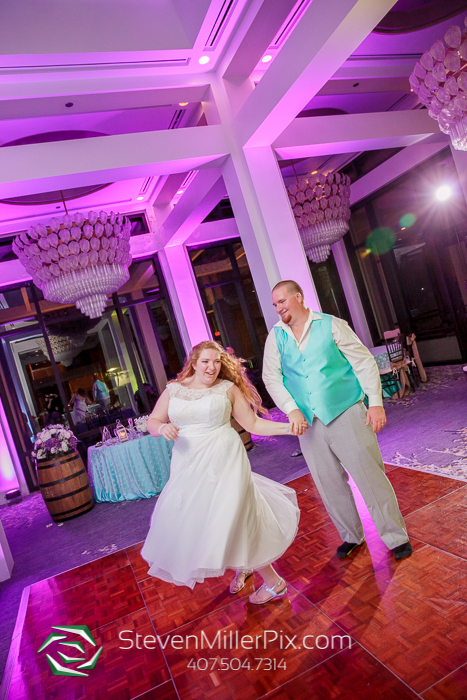 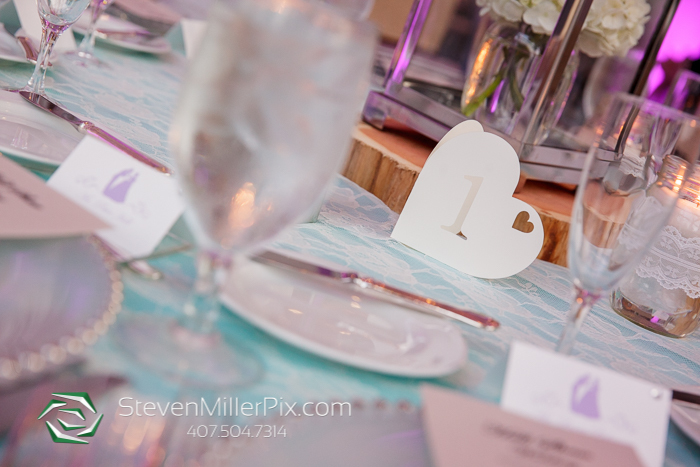 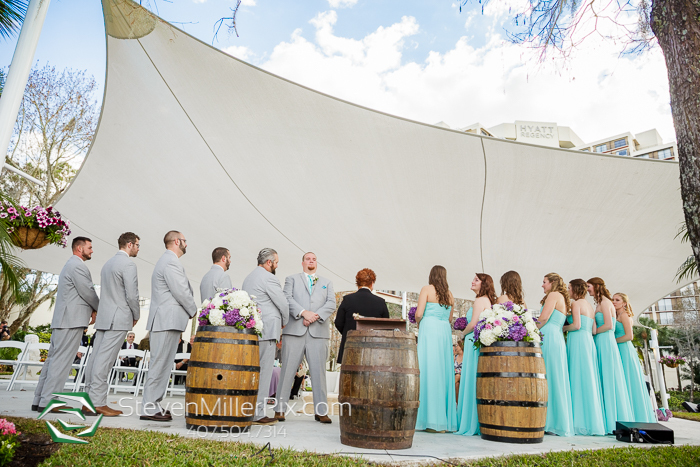 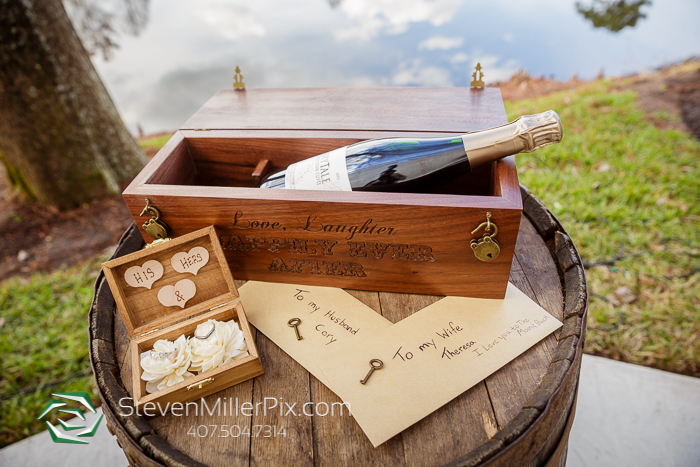 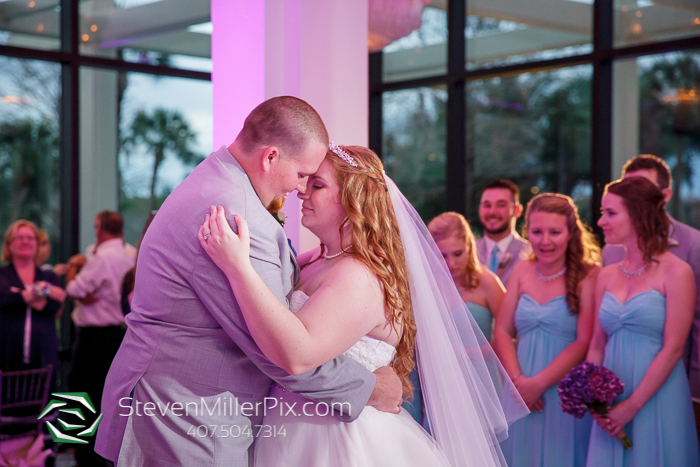 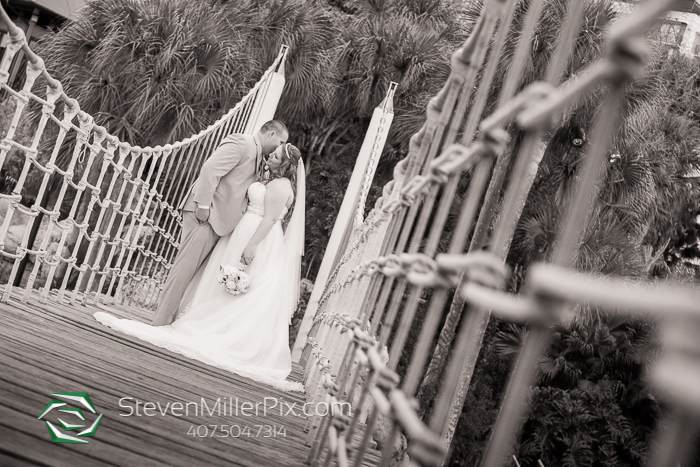 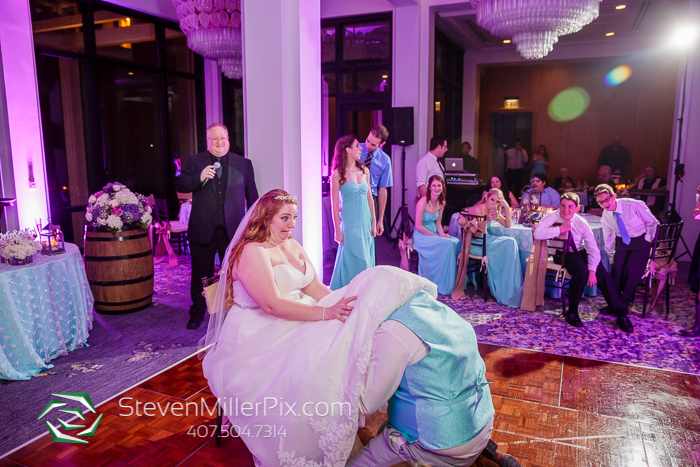 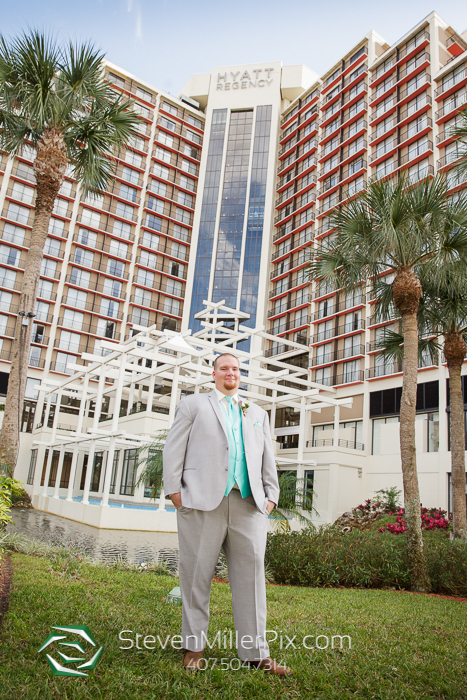 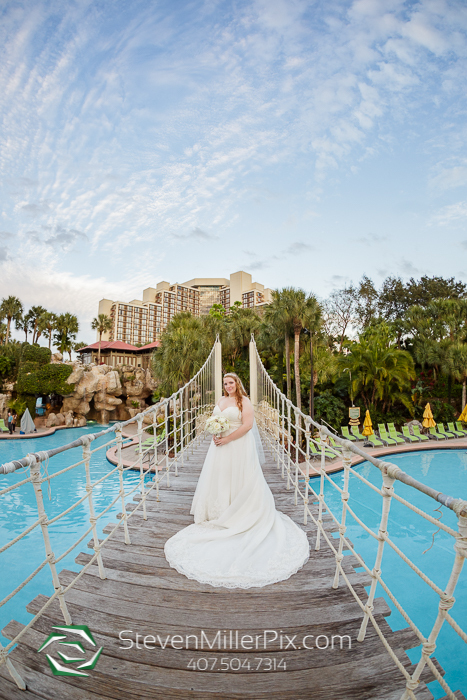 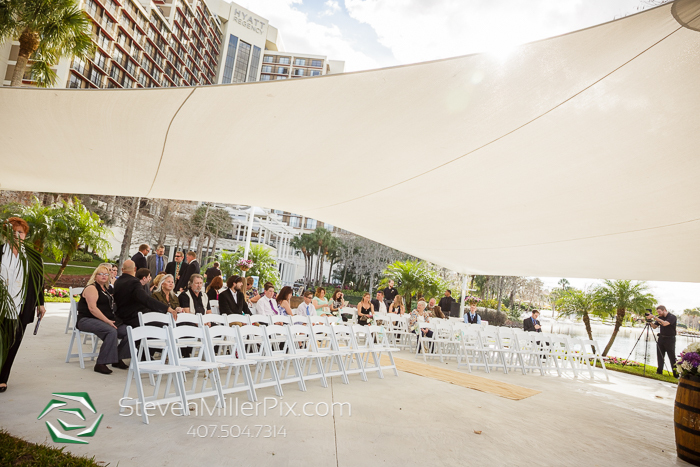 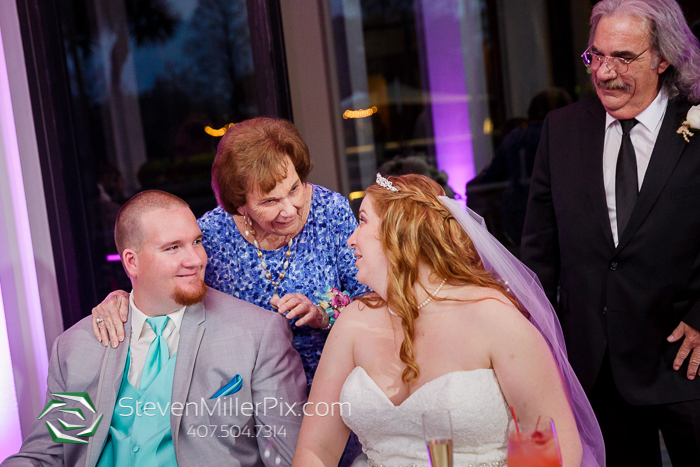 We spent their special day at the Hyatt Regency Grand Cypress, one of our favorite Orlando Wedding Venues! 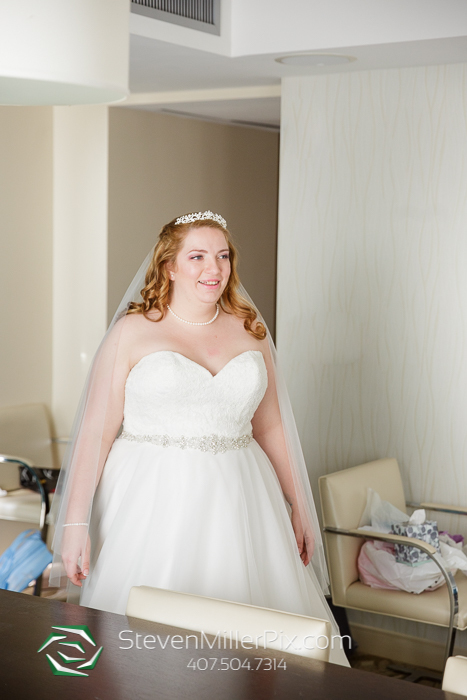 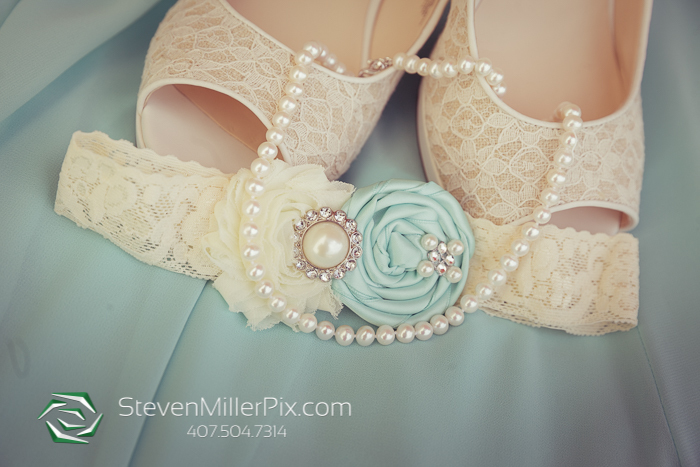 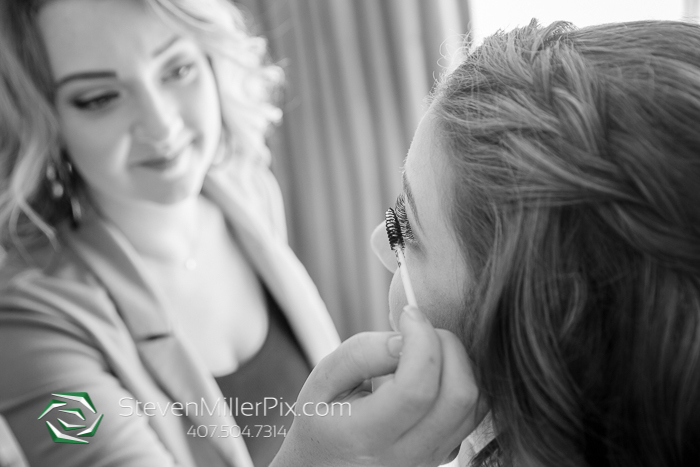 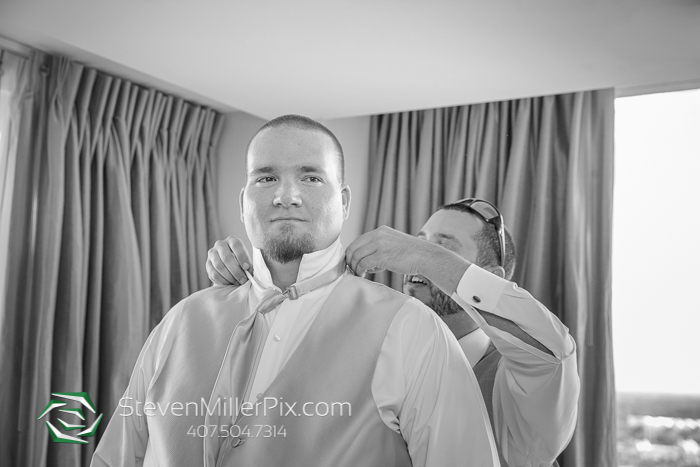 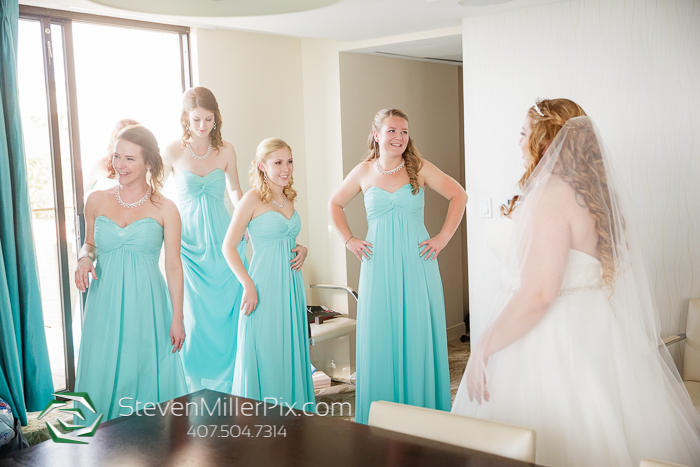 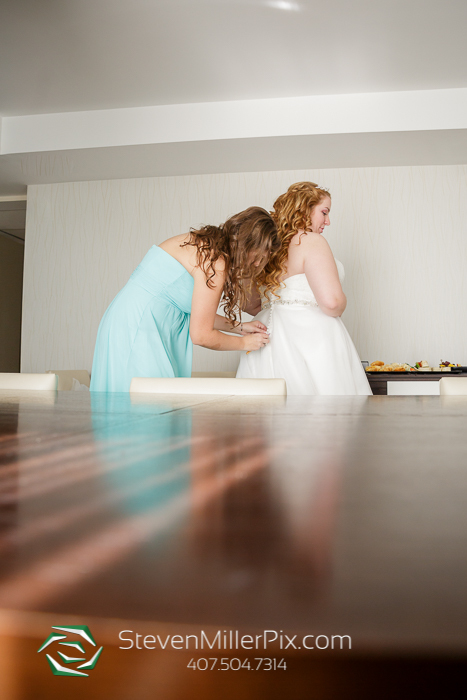 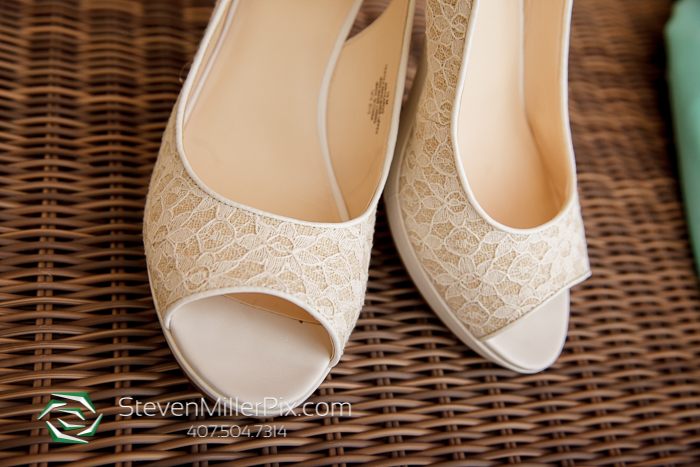 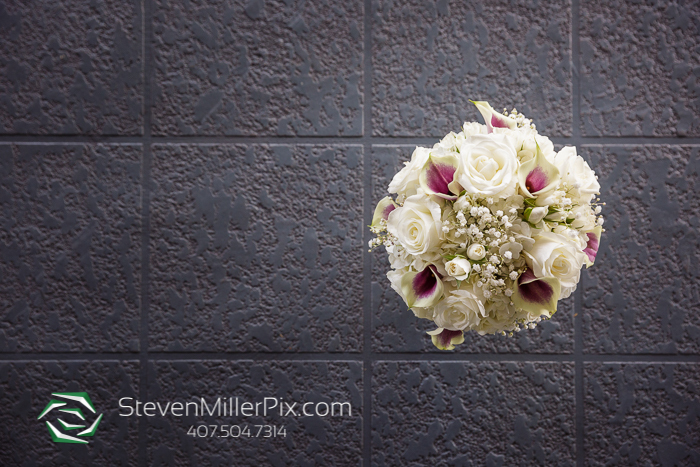 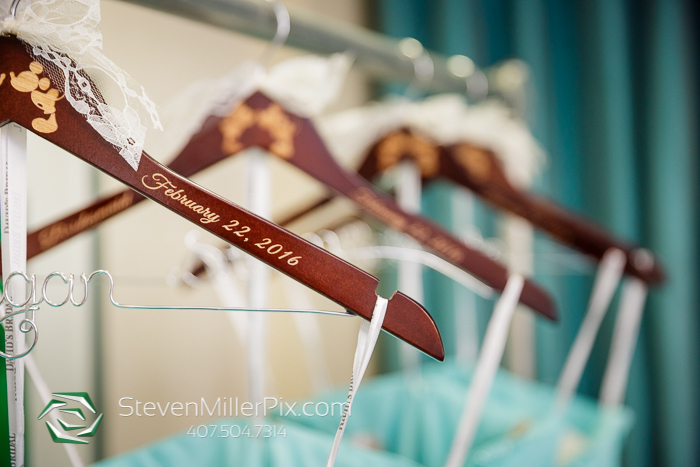 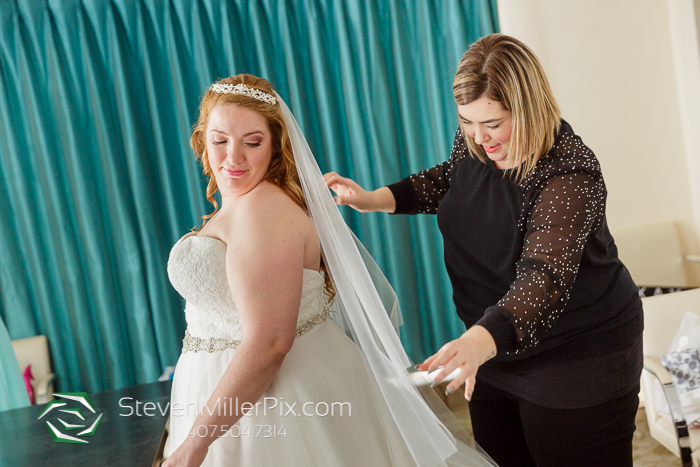 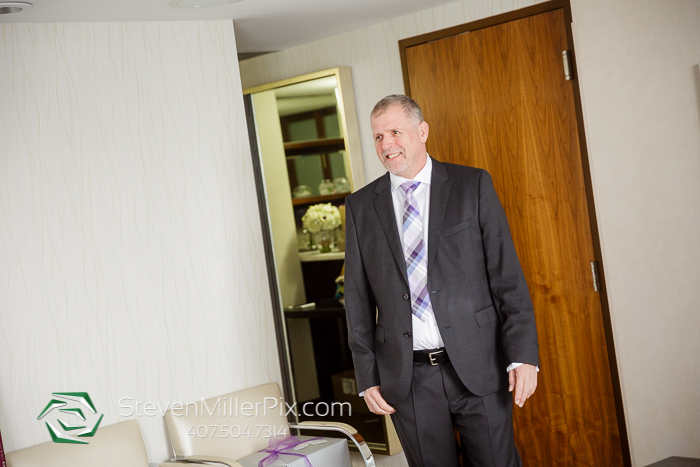 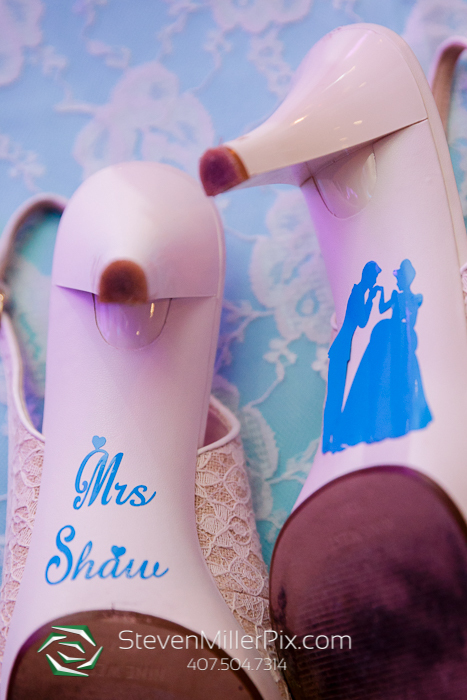 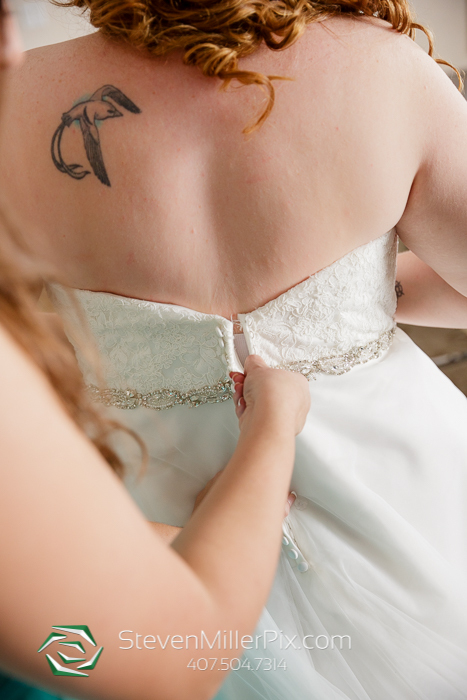 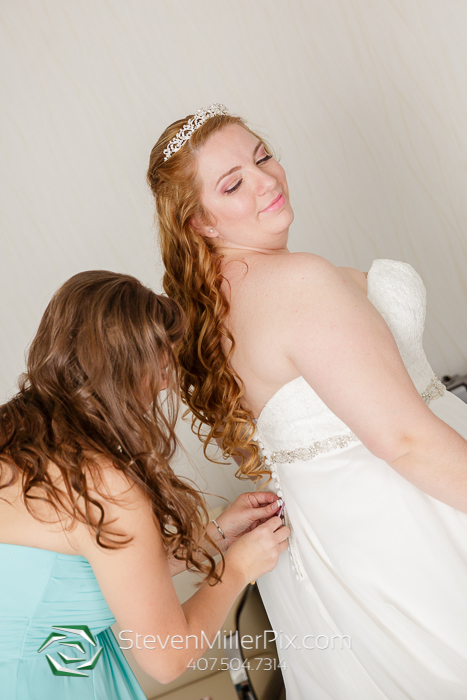 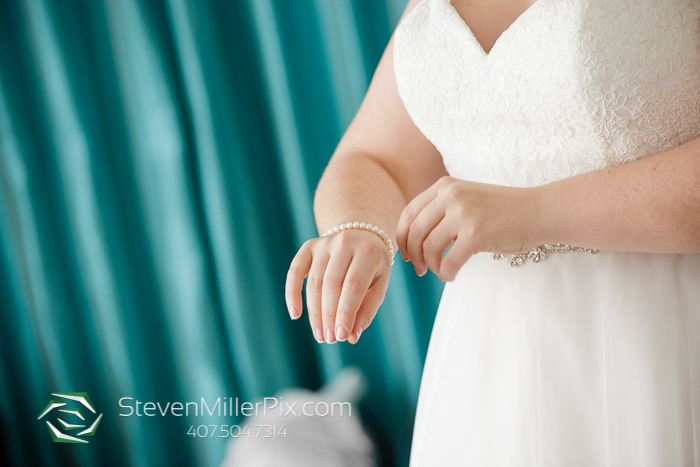 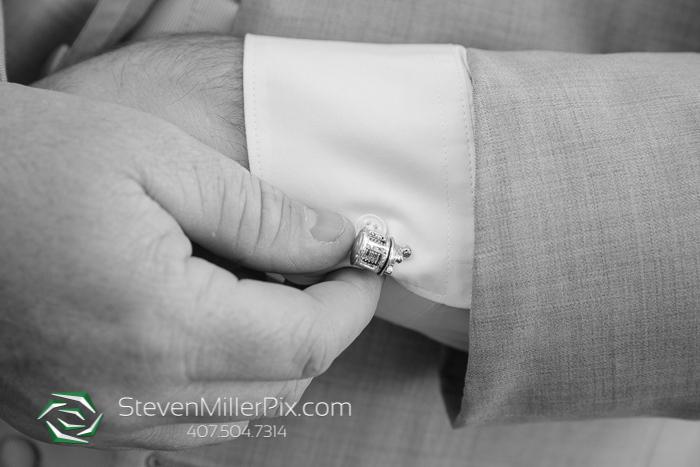 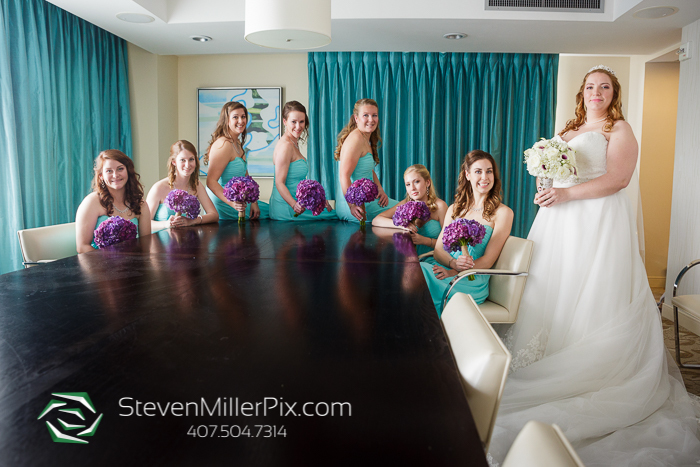 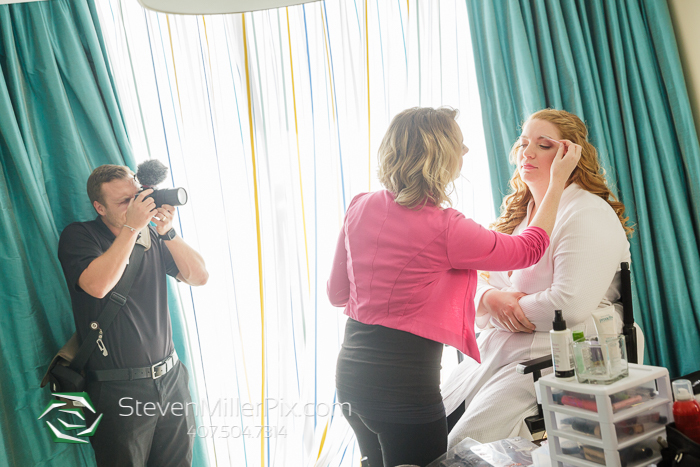 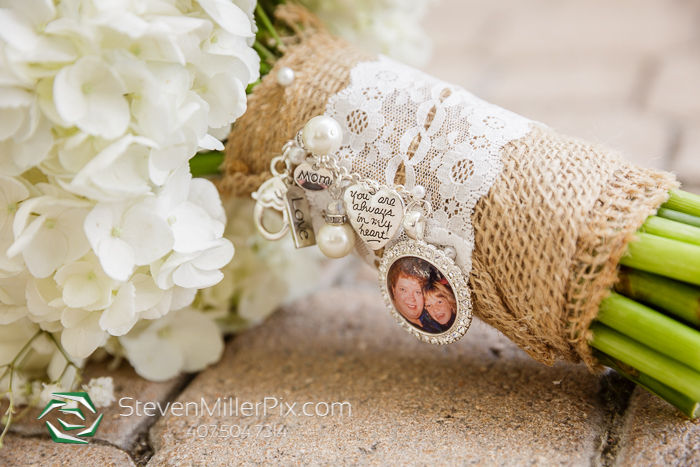 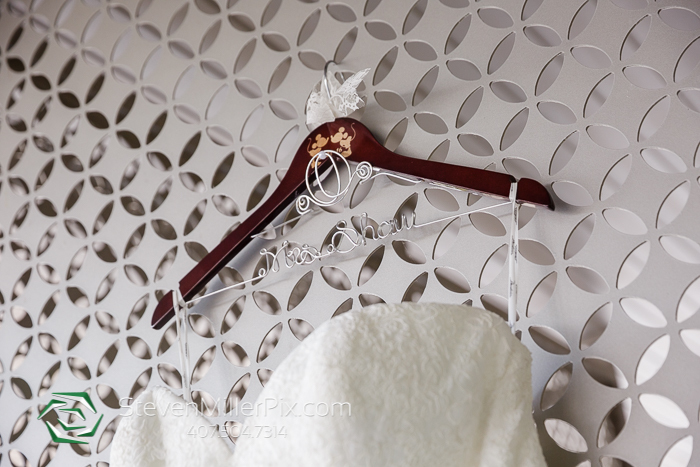 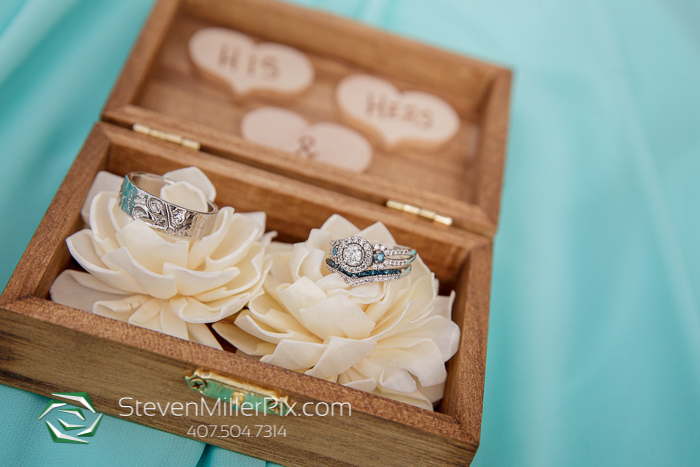 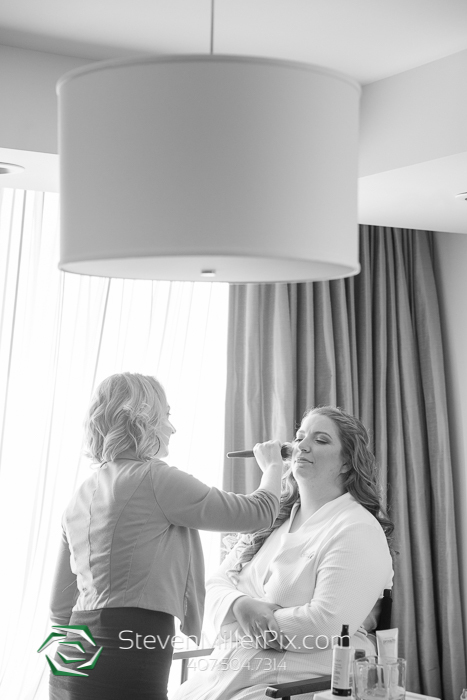 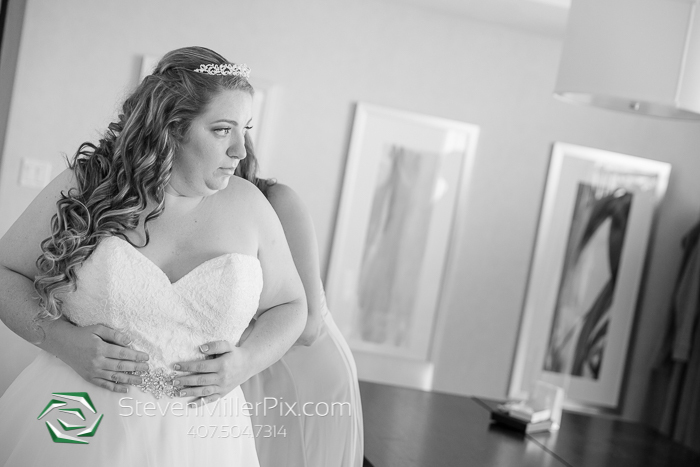 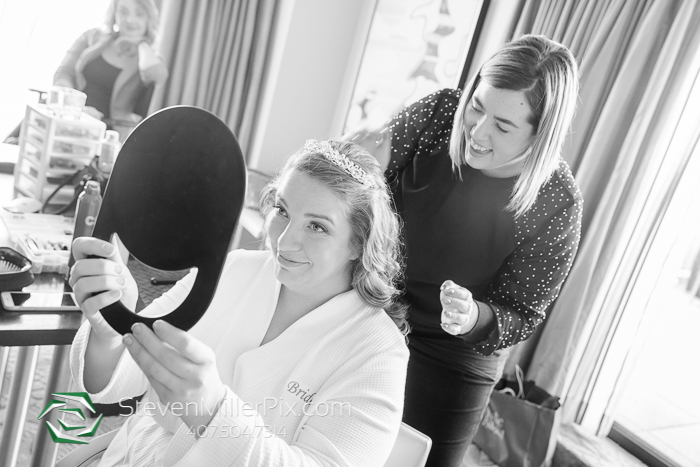 Photographers Steven and Michael began the day capturing Theresa’s bridal preparations within her bridal suite! 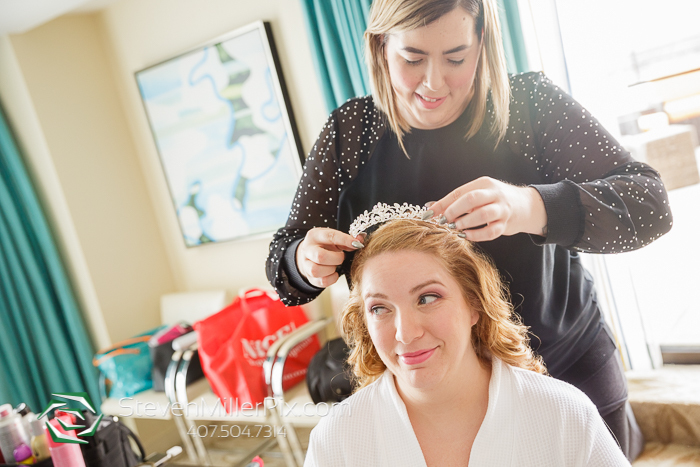 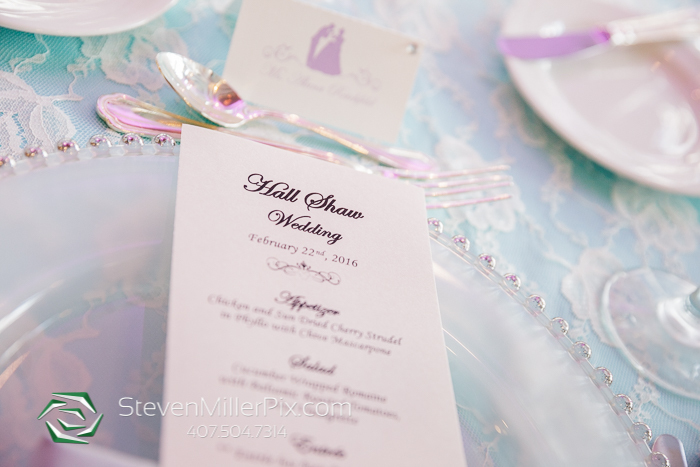 Pretty n’ Pinned provided the bridal hair and makeup services, and Lowe and Behold arrived shortly after with their beautiful floral arrangements and wedding flowers! 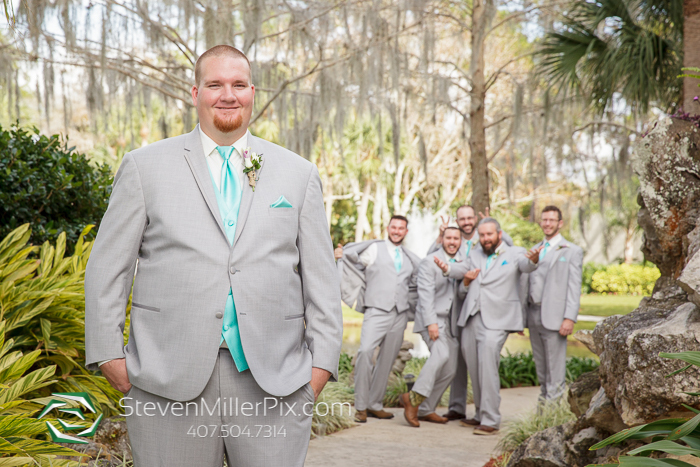 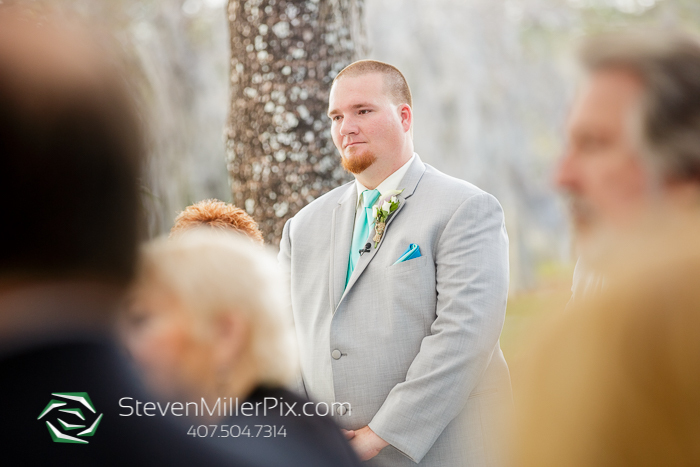 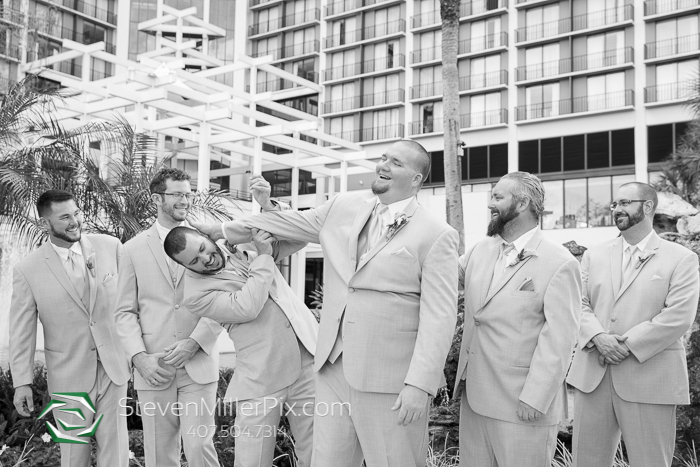 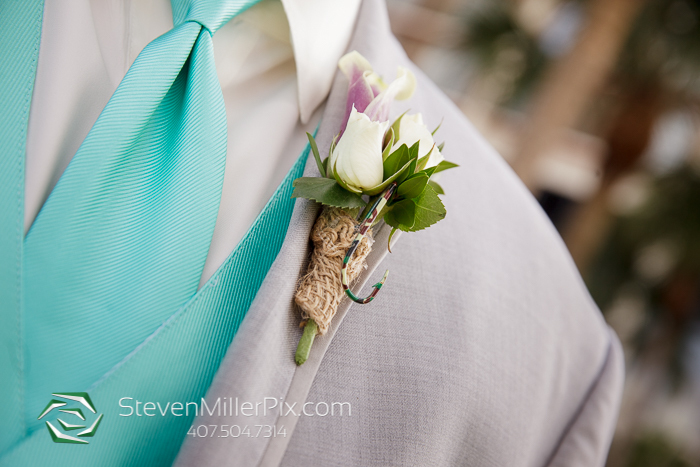 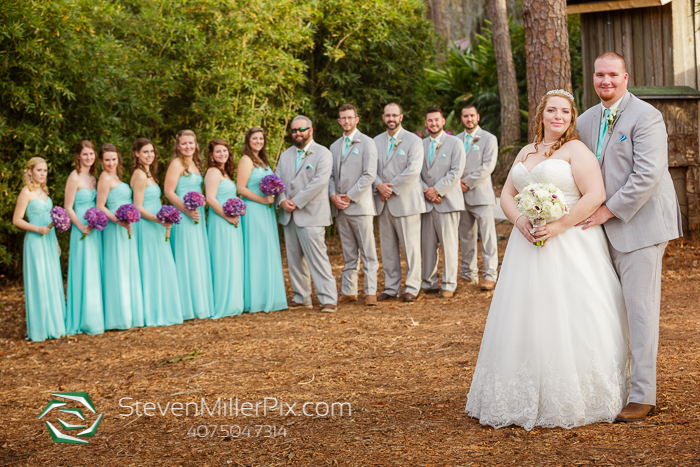 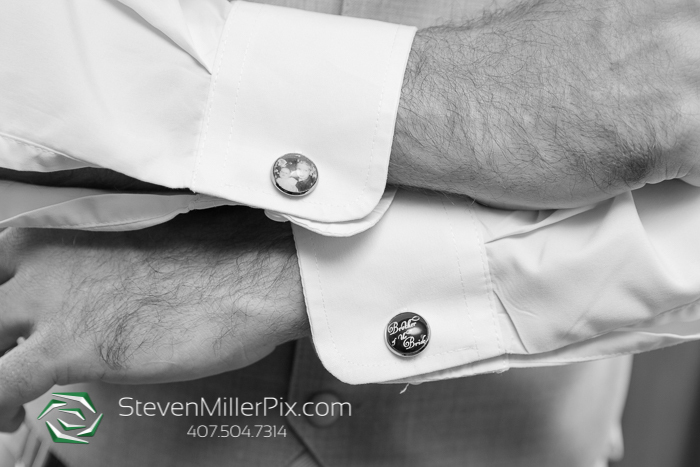 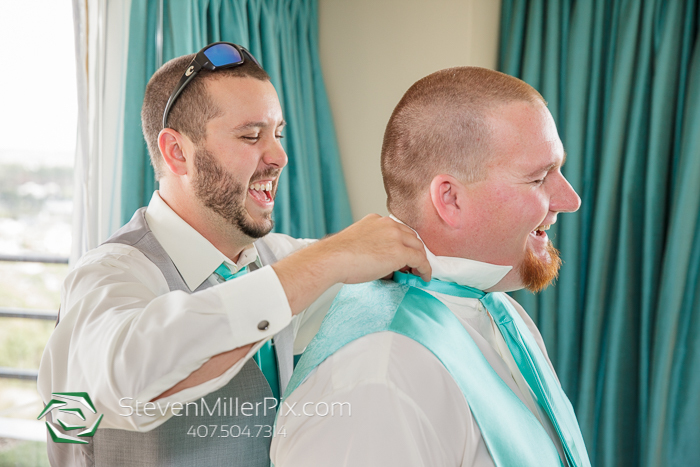 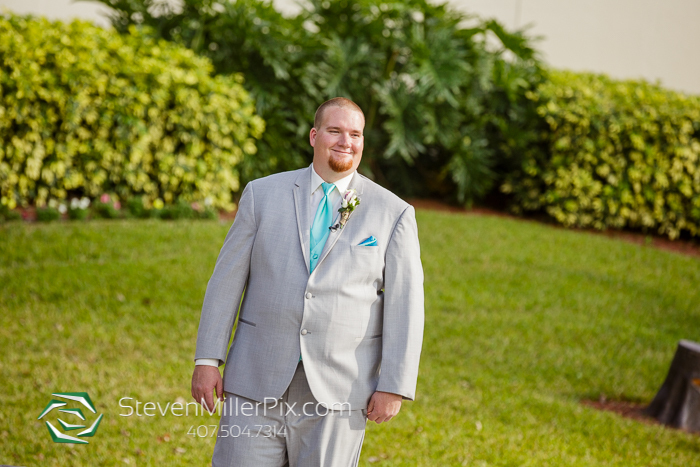 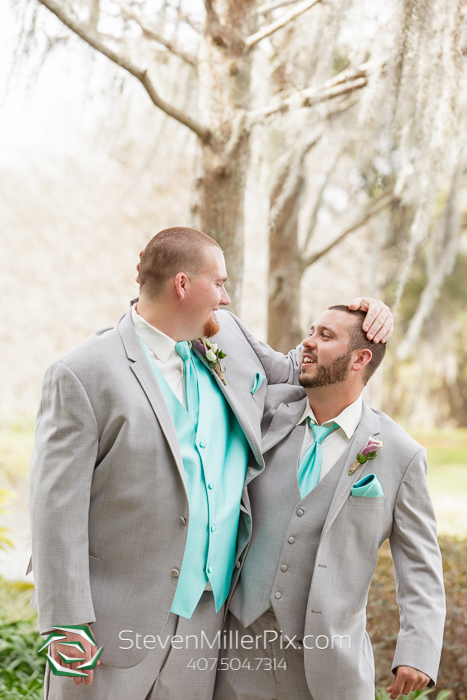 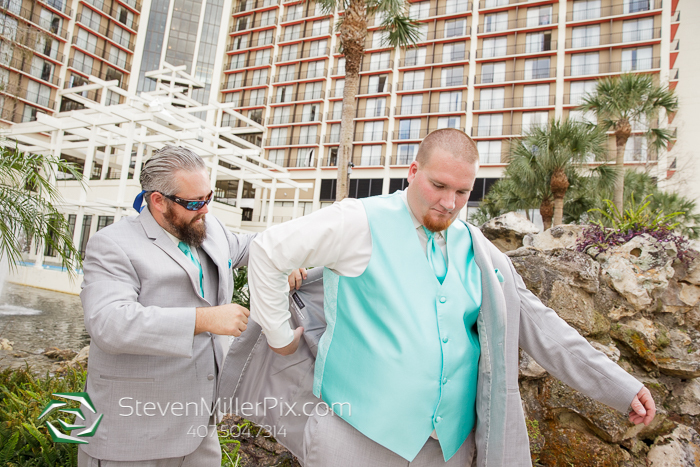 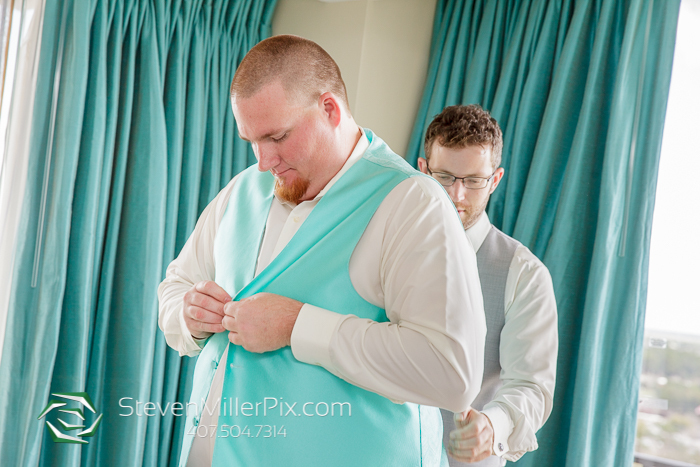 Once ready, Michael took Cory and his groomsmen outside for some quick portraits before their outdoor ceremony, at Hyatt’s Cypress Pointe! 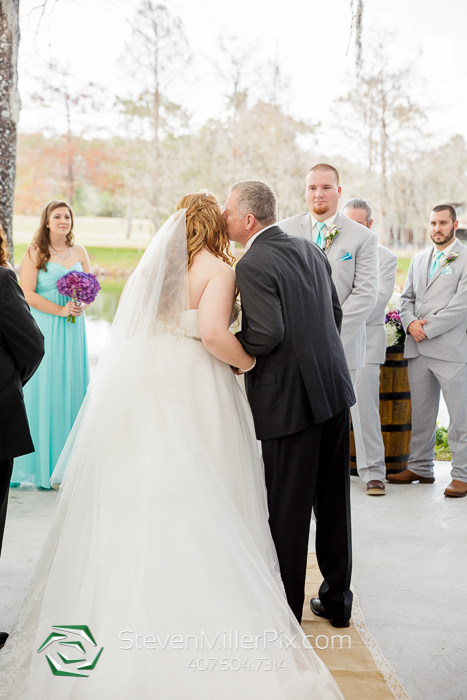 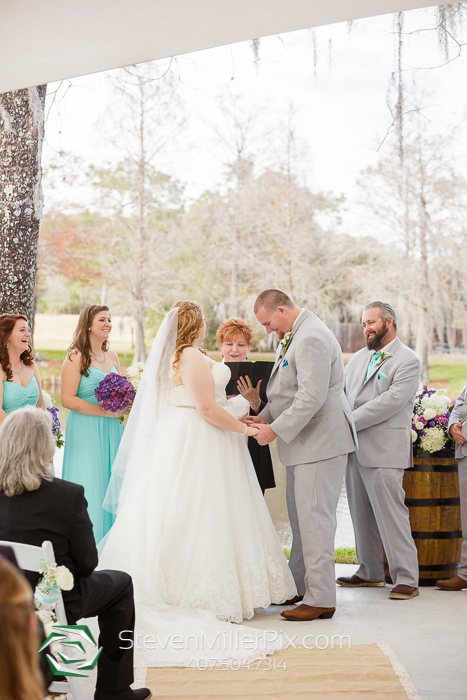 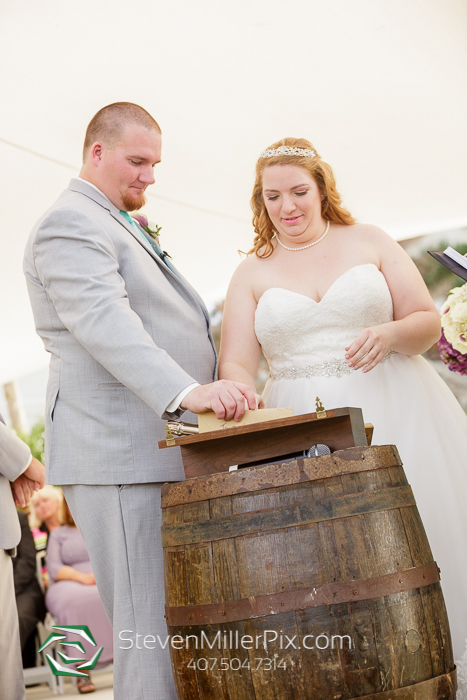 Officiated by Maria Roncari of A Page in Time, Theresa and Cory tied the knot with their own personal vows, a wine sealing ceremony, and of course the kiss!! 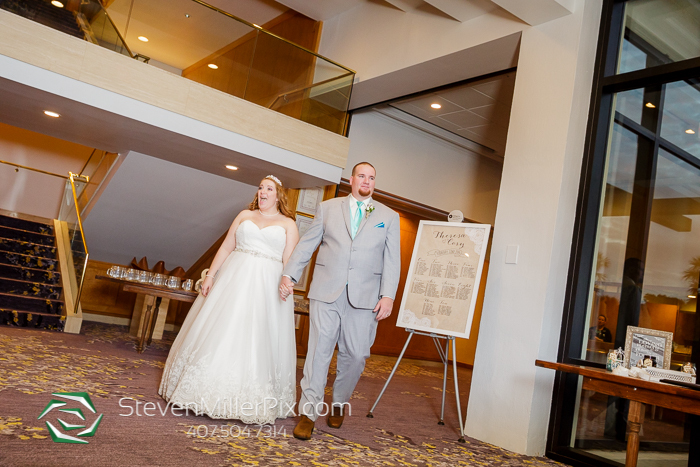 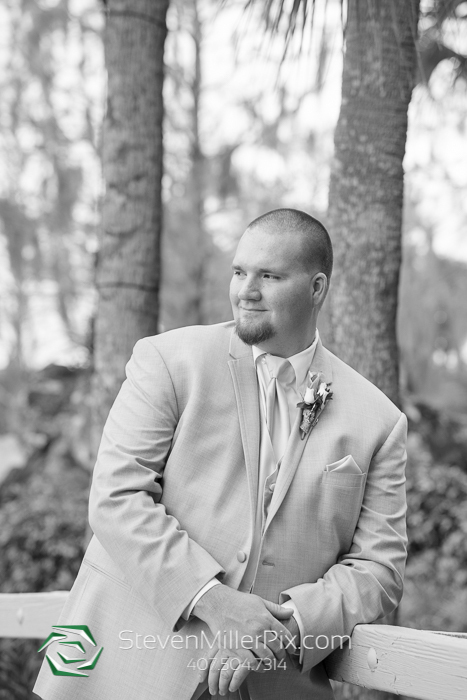 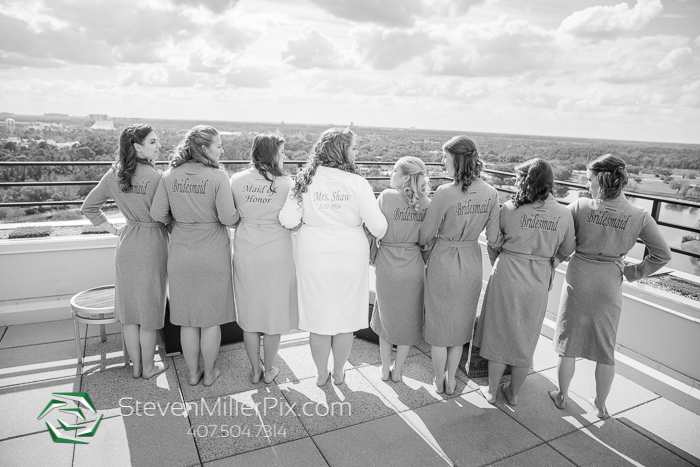 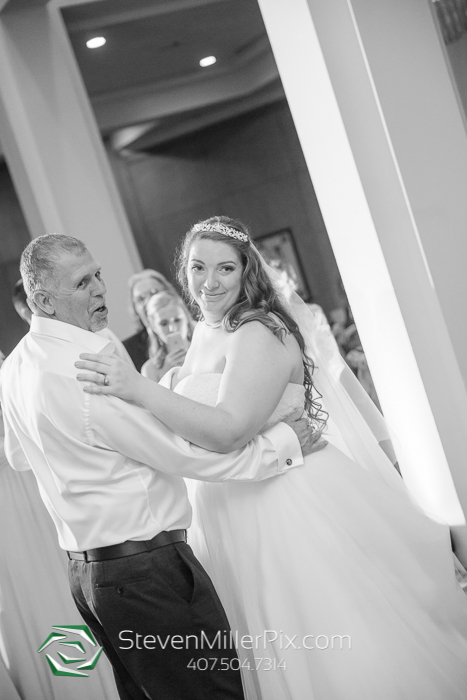 We captured their family portraits, bridal party photos, and their personal portraits around the Hyatt property, which is so much fun considering how much there is to work with! 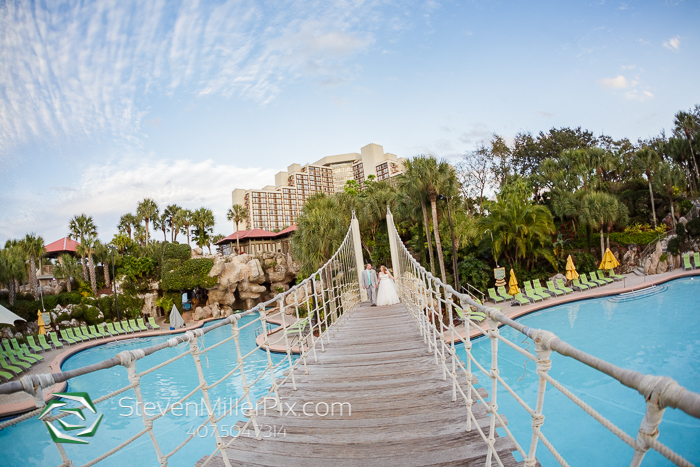 We even took them to the hanging bridge over the Hyatt’s pool area, so much fun!! 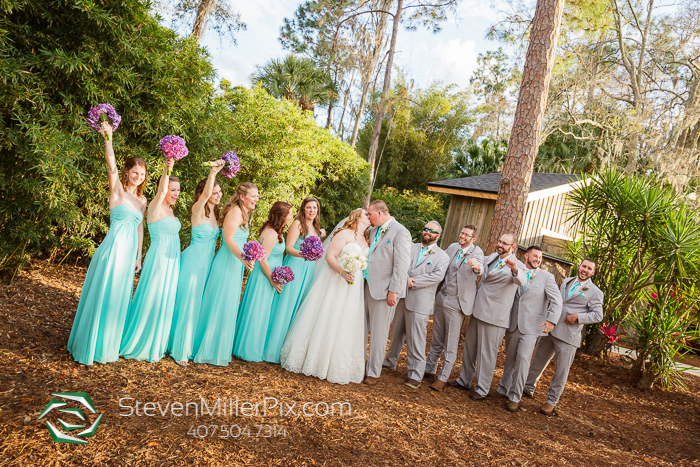 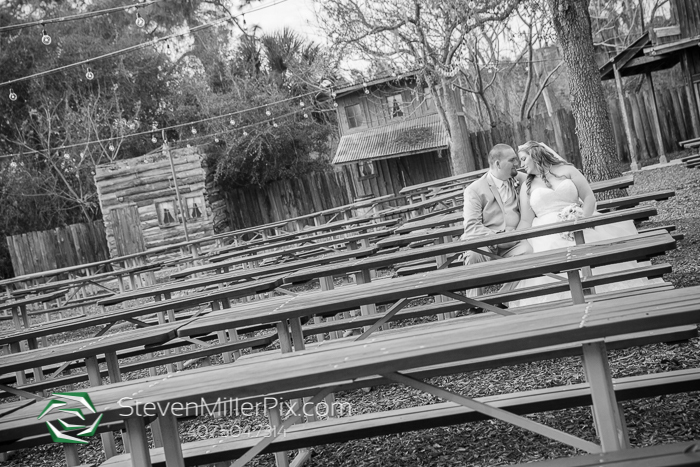 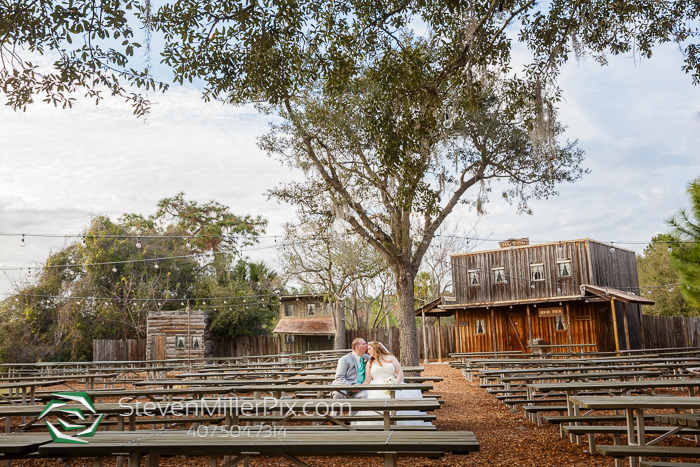 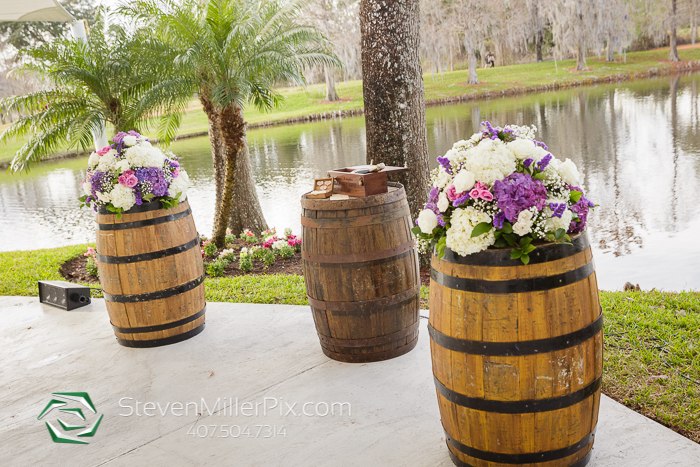 We returned them to their cocktail hour to prepare for their indoor wedding reception within La Coquina. 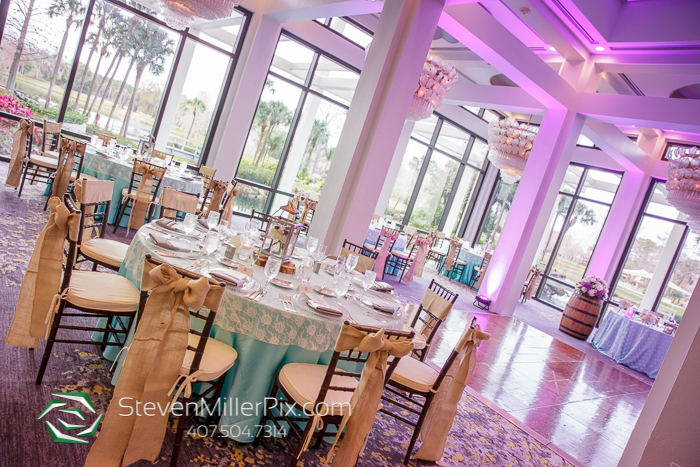 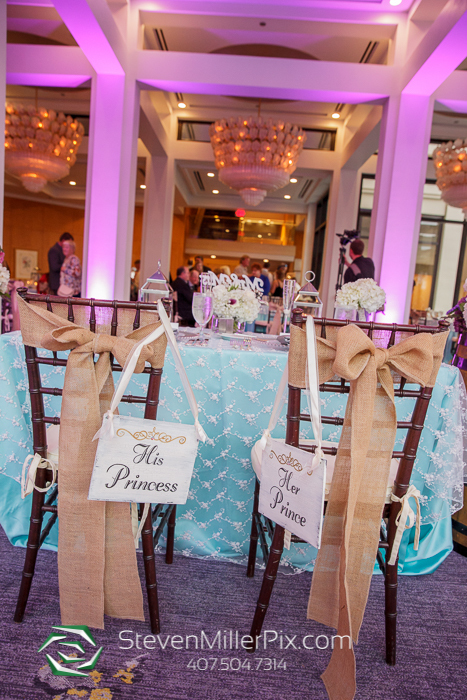 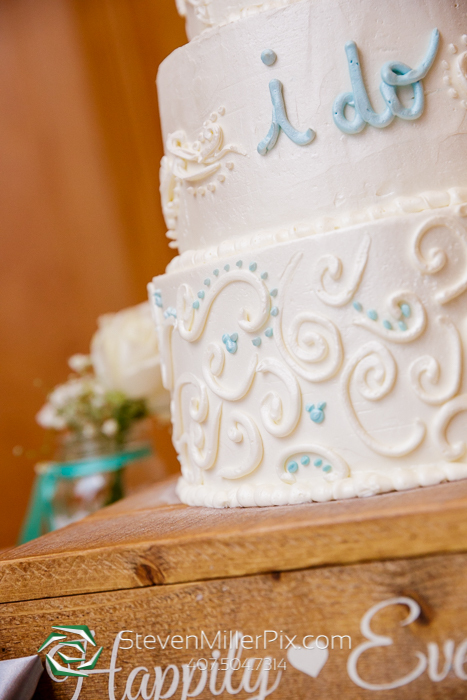 Grand EOS Events setup their gorgeous reception with elegant decor, linens, and chairs, while Hyatt’s Wedding Catering team created the beautiful wedding cake and bar and catering services. 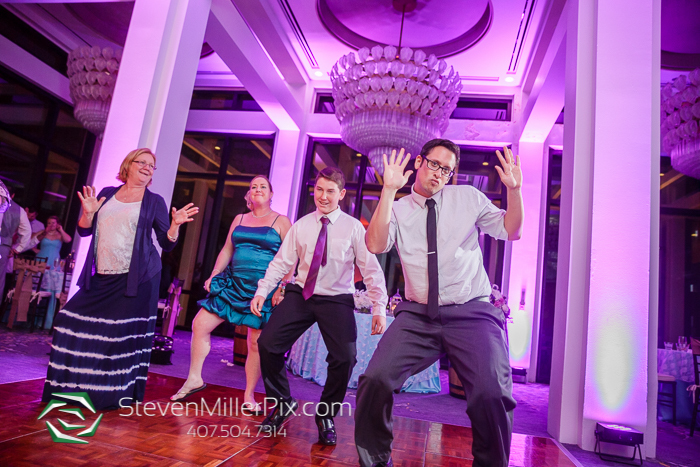 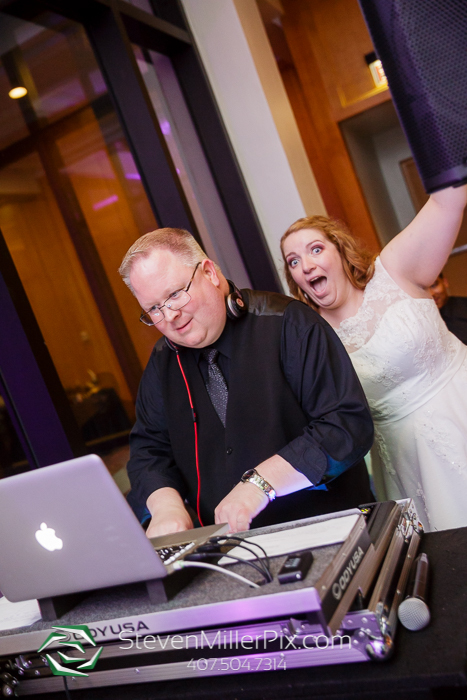 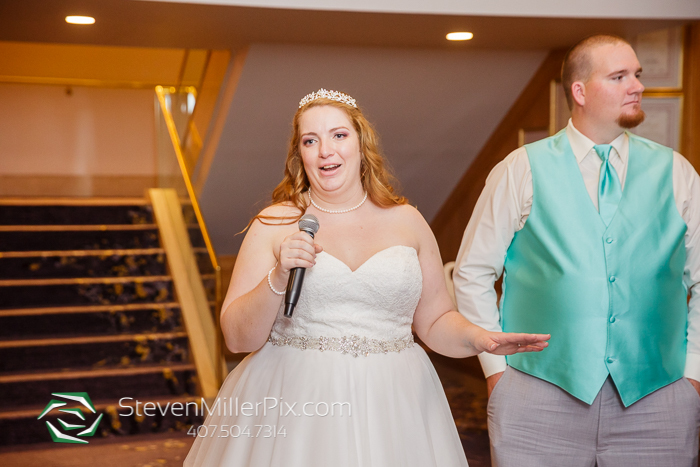 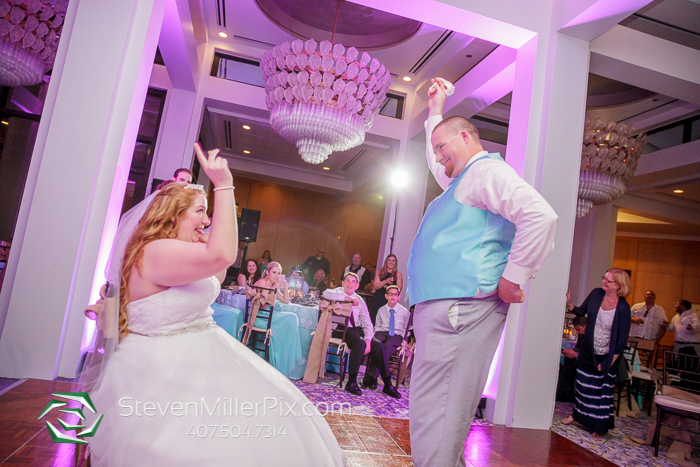 DJ Jeff of White Rose Entertainment kicked off our reception with introductions, dances, and absolutely rocked their party throughout the evening! 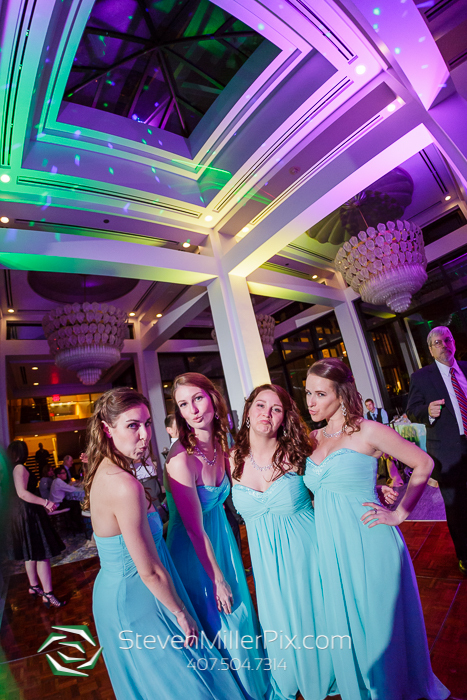 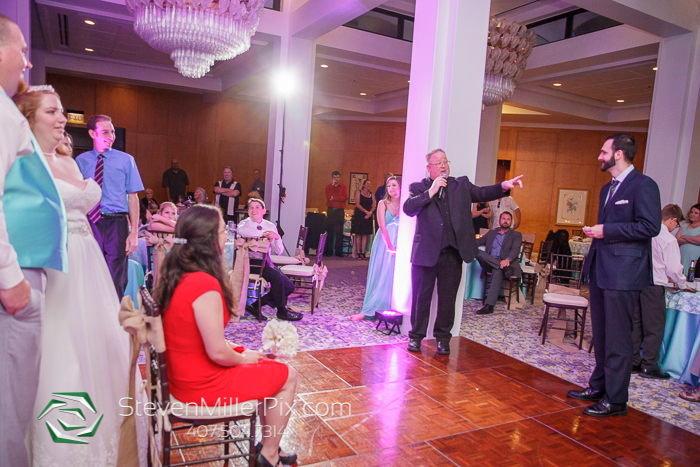 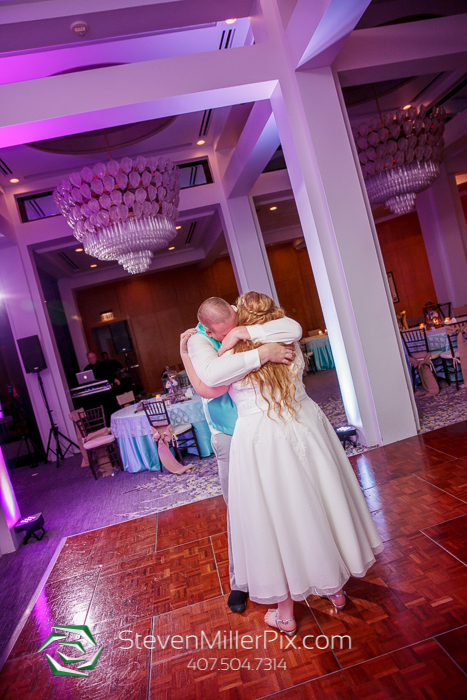 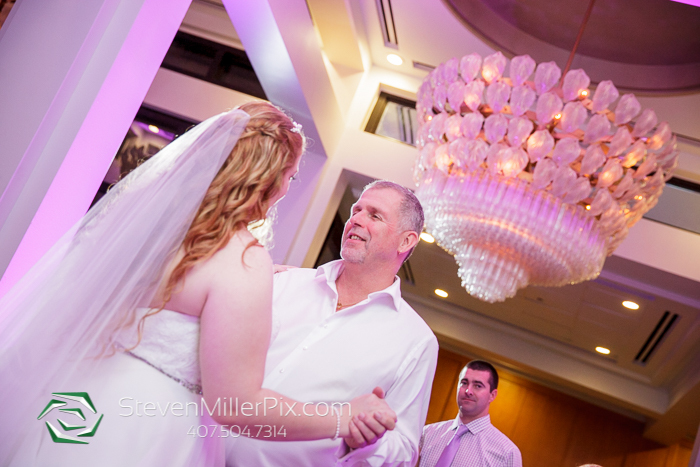 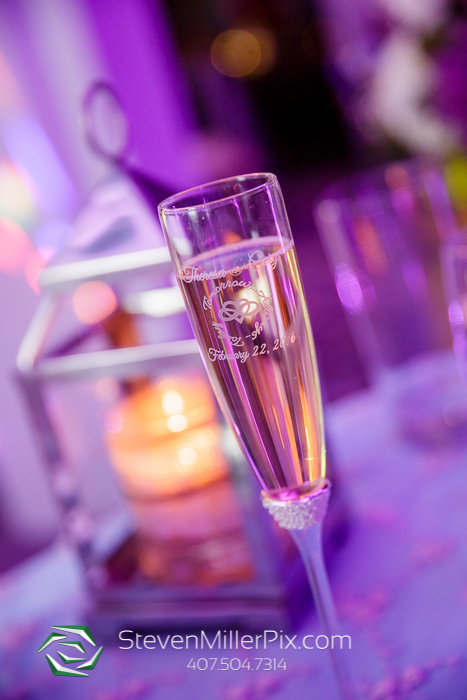 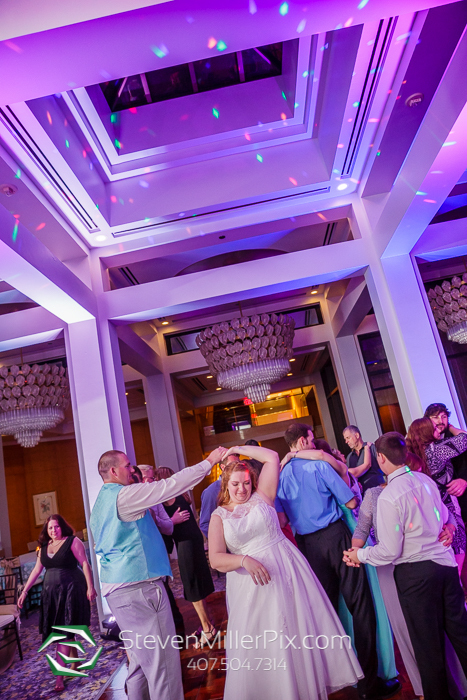 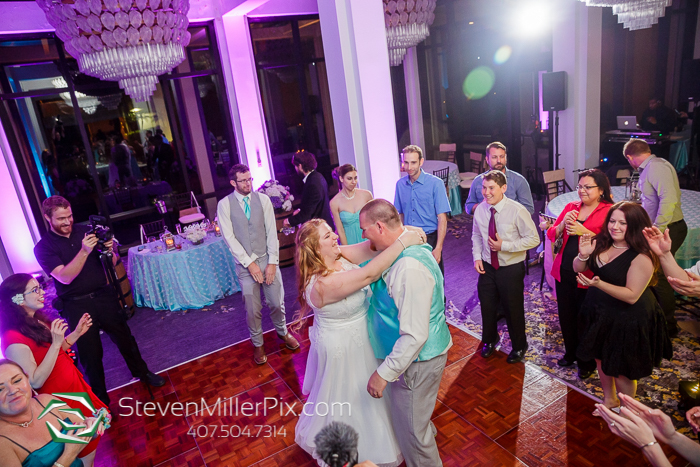 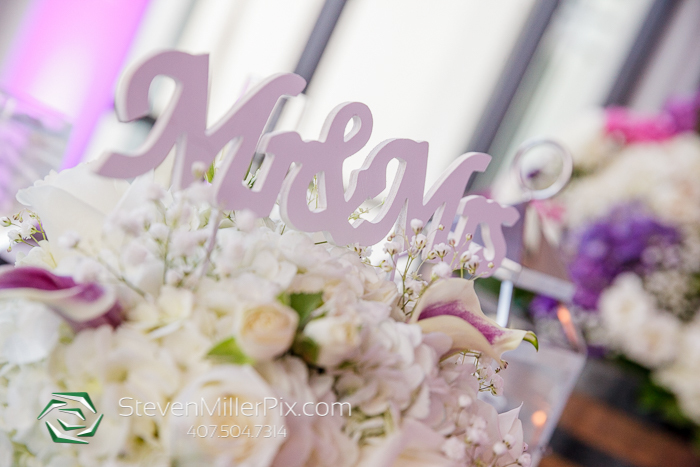 White Rose Entertainment also provided the uplighting you see in the room, which adds so much color to our images and truly adds to that party atmosphere! 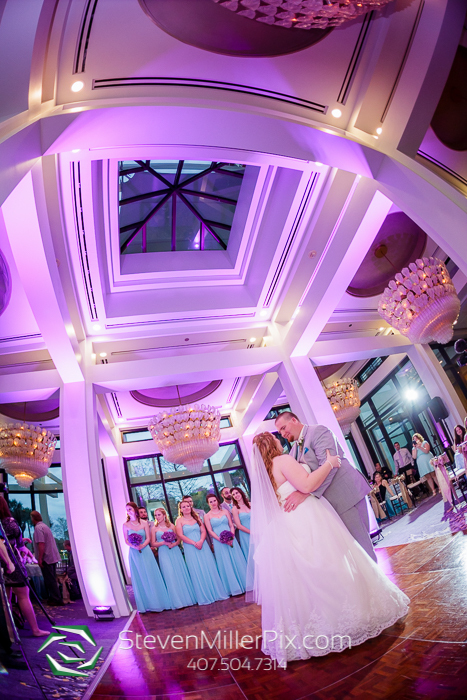 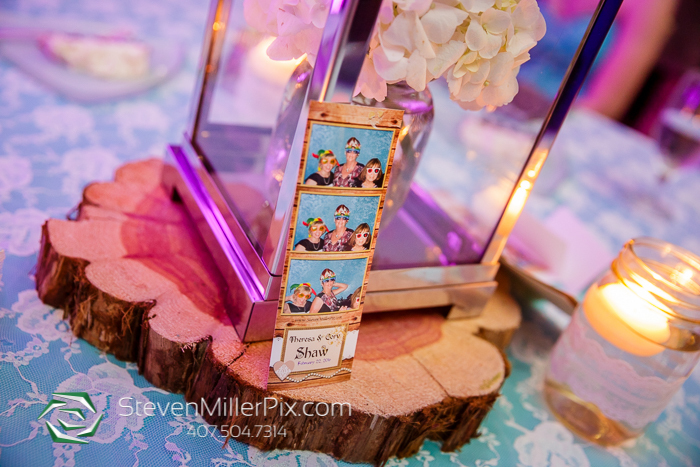 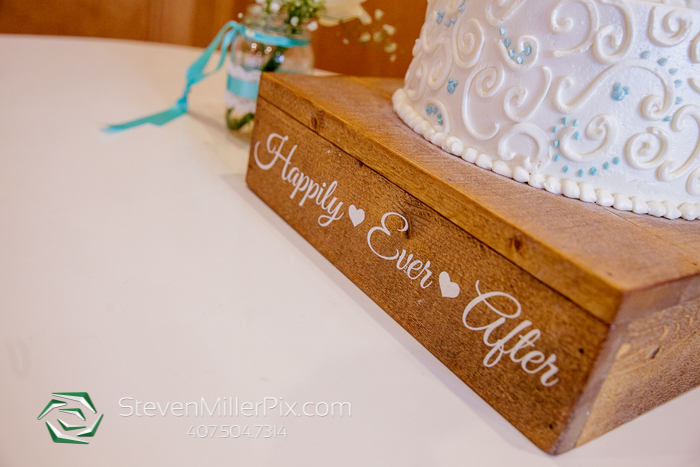 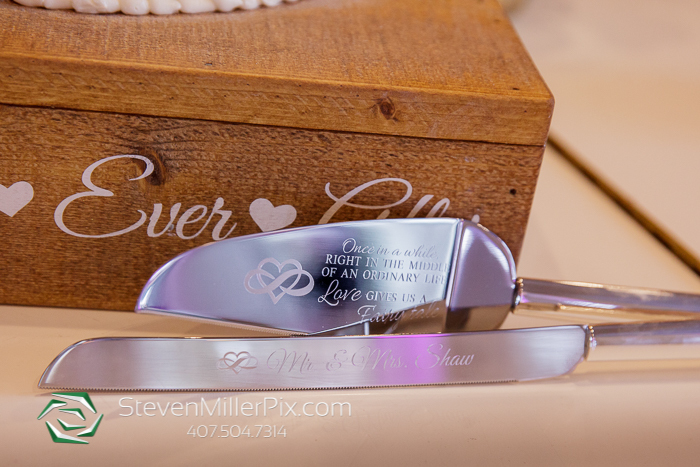 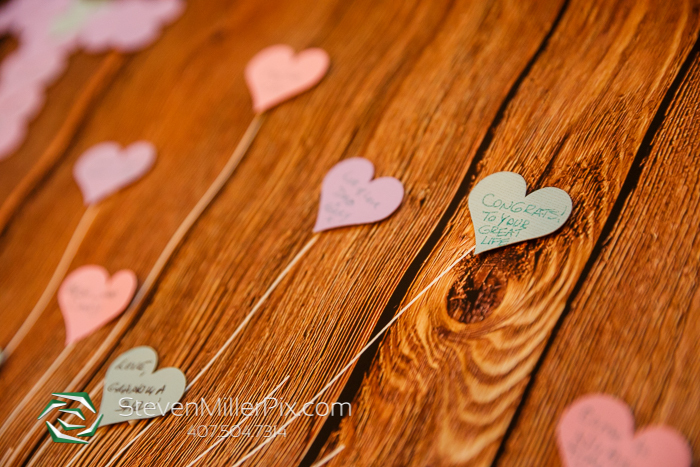 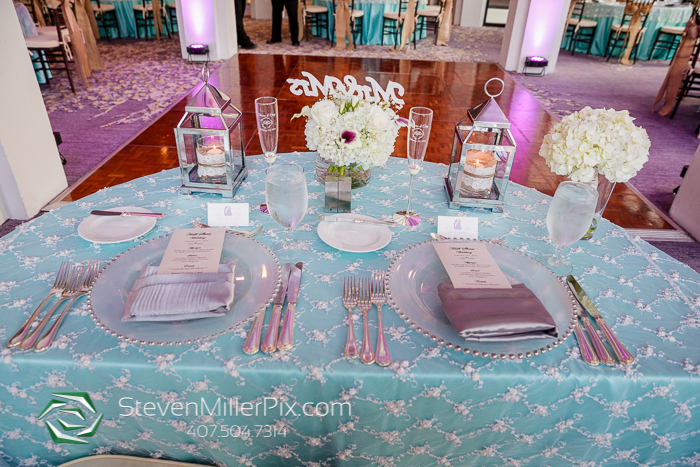 We had the pleasure of working alongside Dustin Seltzer and Corban of Seltzer Films who provided videography services throughout the wedding day. 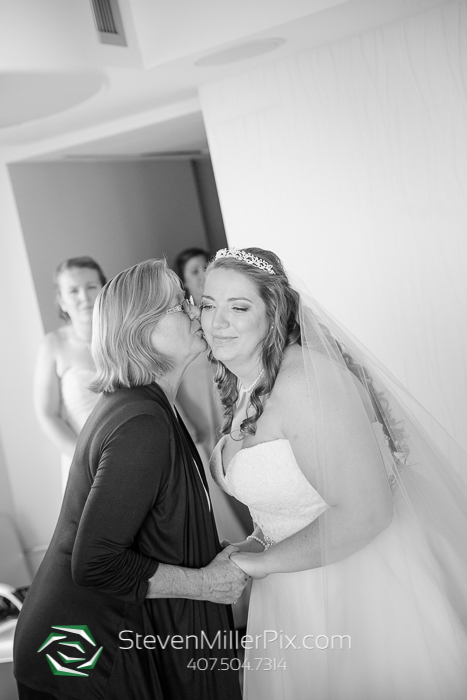 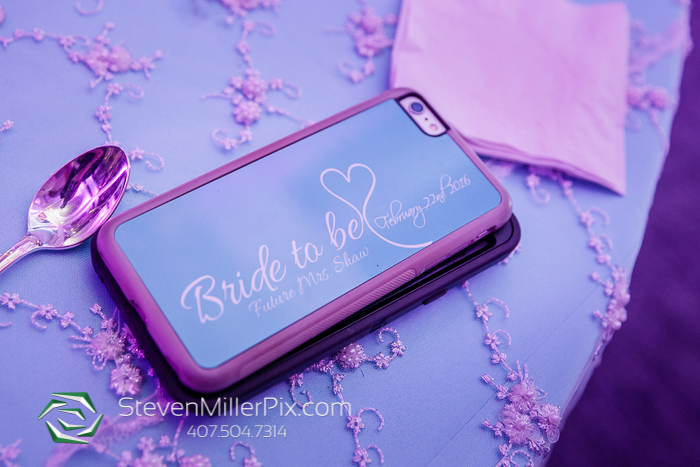 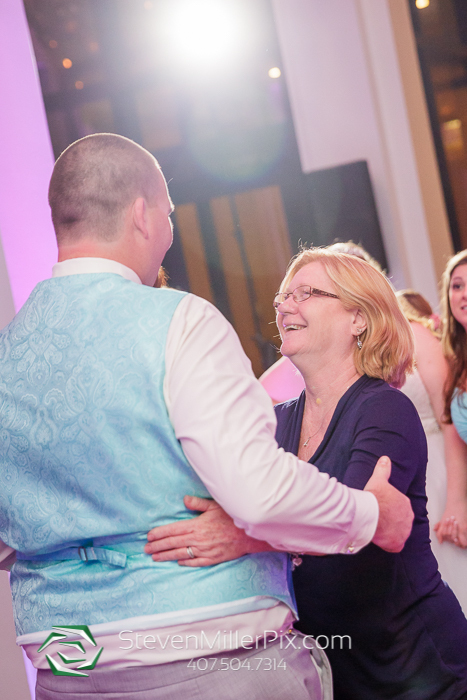 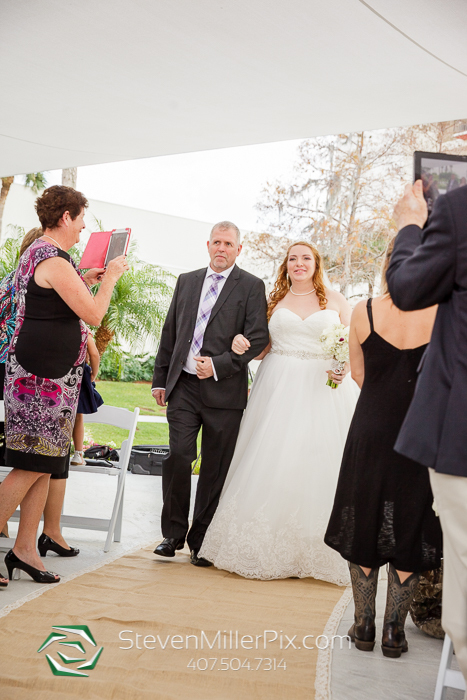 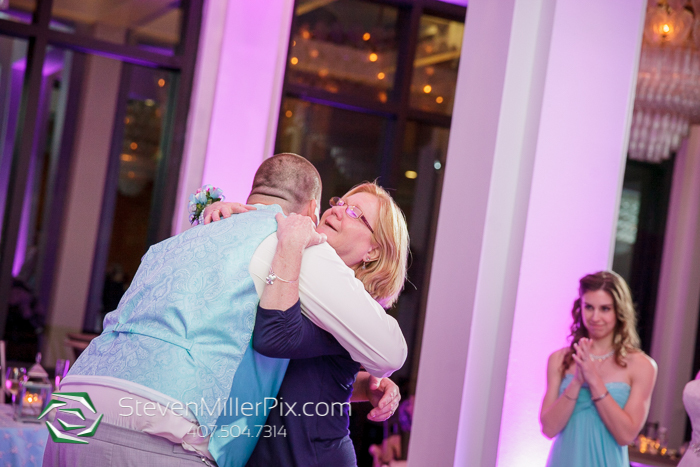 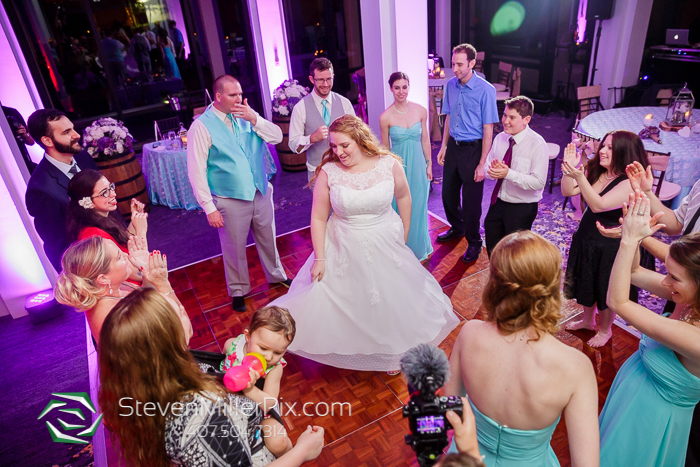 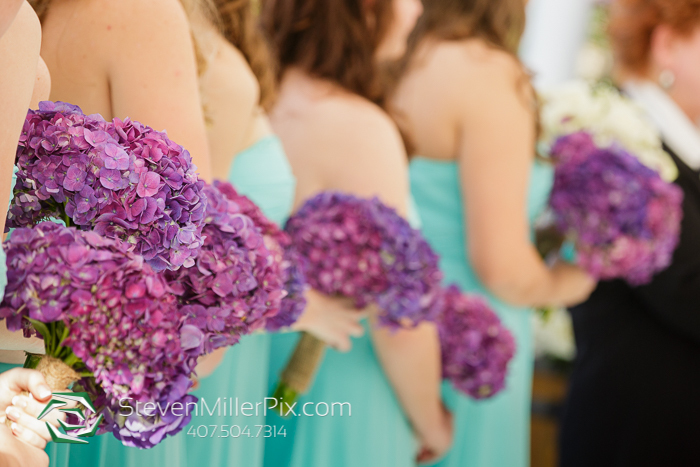 It’s important for brides to hire videographers who are unobtrusive and work well with photographers, and Seltzer Films rocks it!! 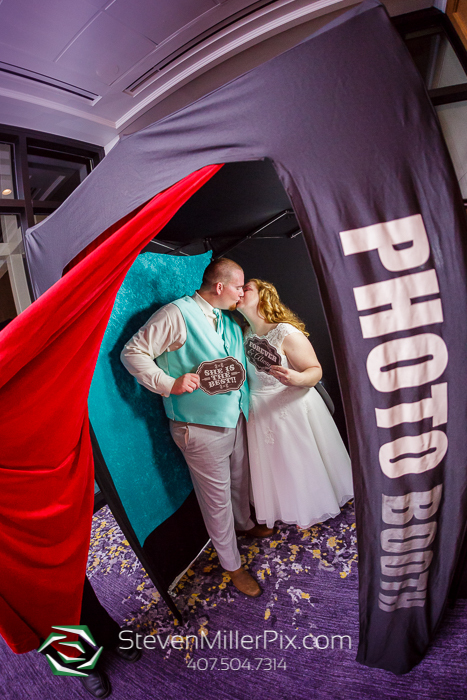 Our wedding photobooth team provided the fun photobooth, which made for some hilarious candids and costumes! 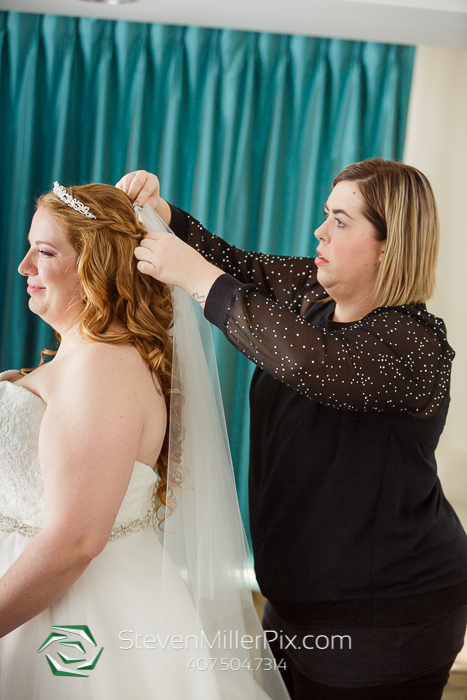 Special thanks as well to Leanna and her wedding planning team Kim, Amanda, and Janice of Just Marry!, who provided wedding coordination! 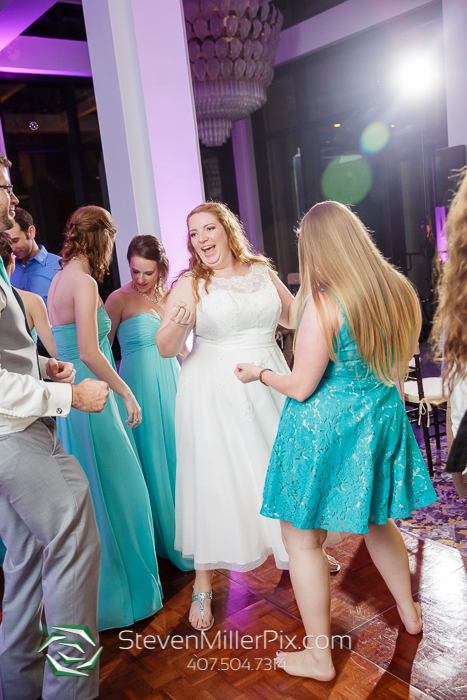 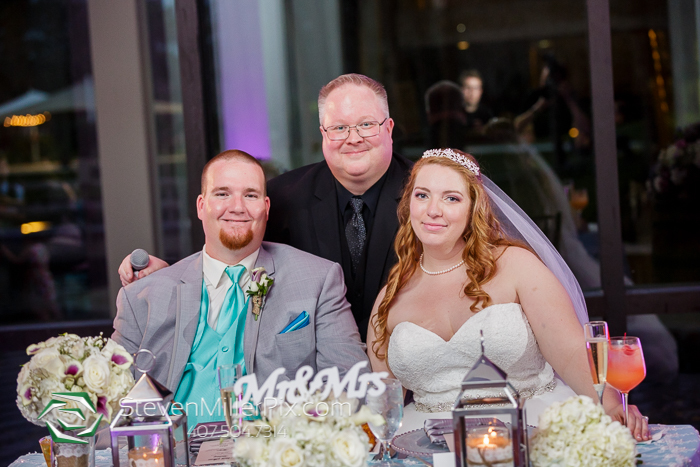 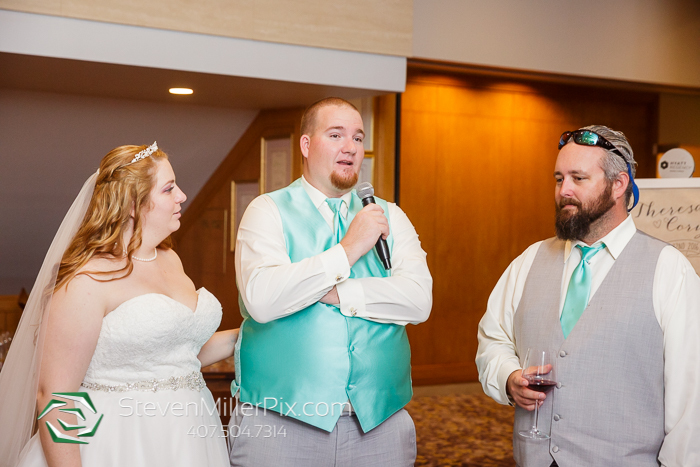 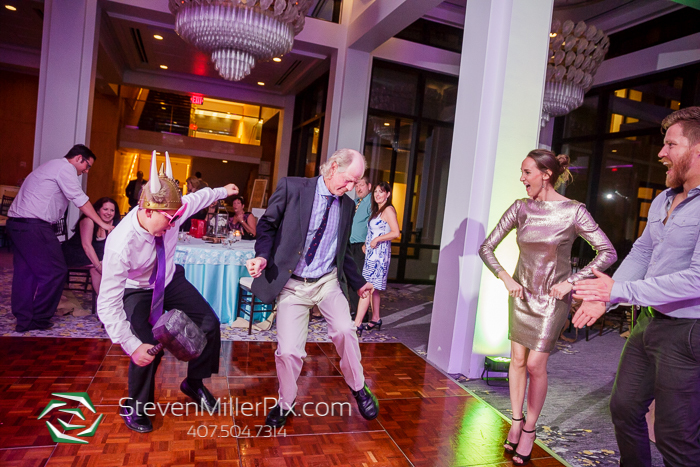 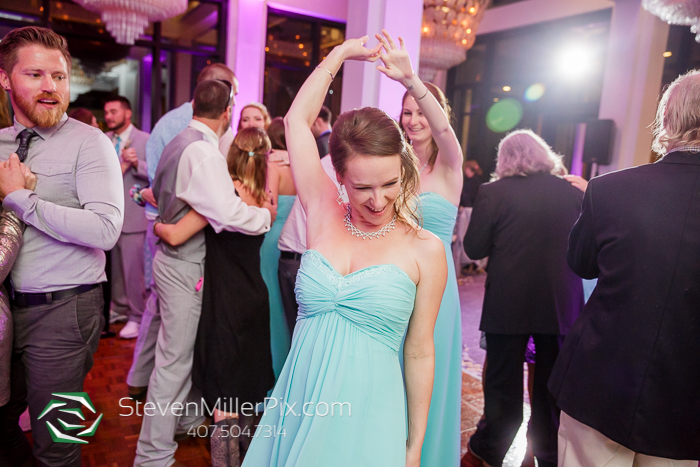 This was definitely a wedding day to remember, we had such a blast! 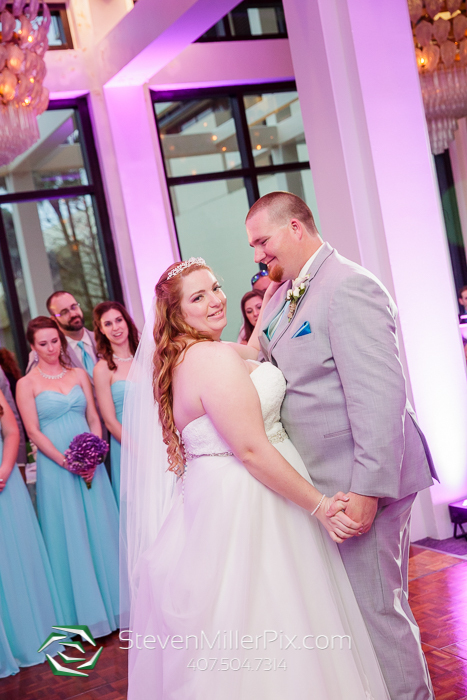 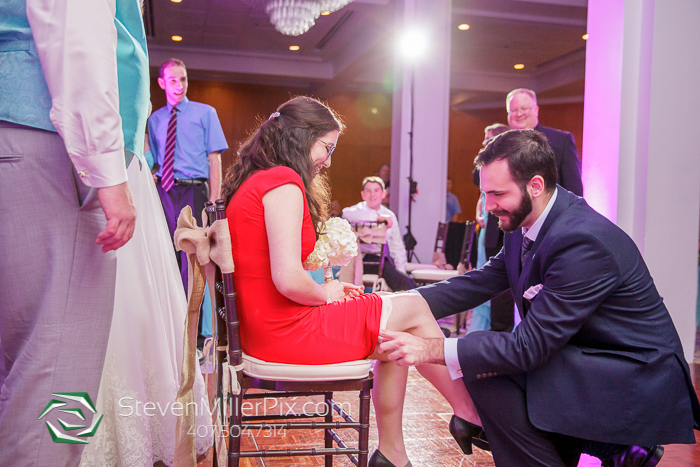 Congratulations to Theresa and Cory, and we can’t wait to see where your love story takes you next!! 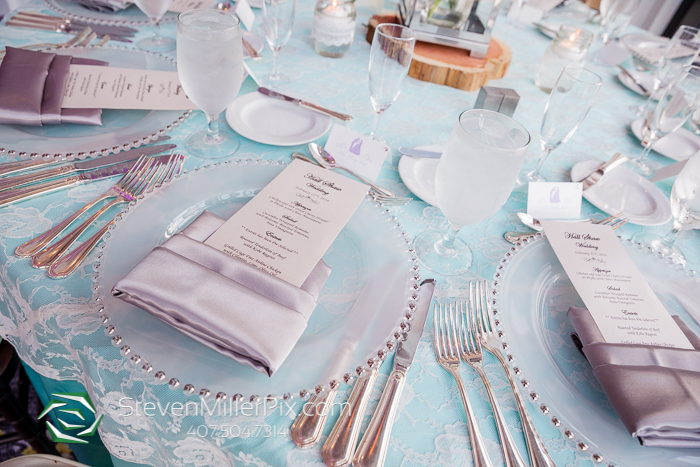 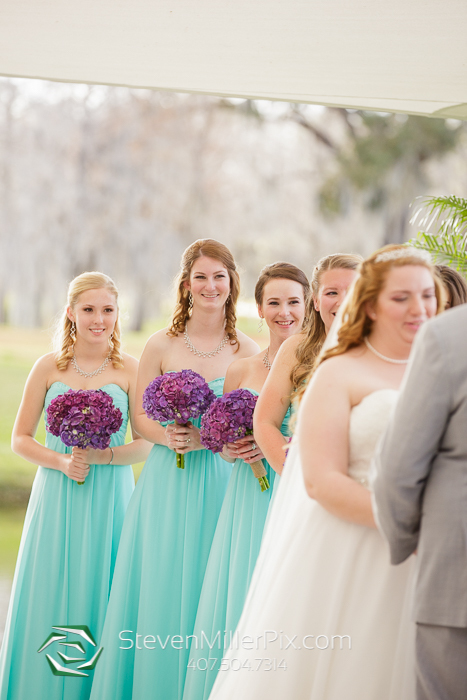 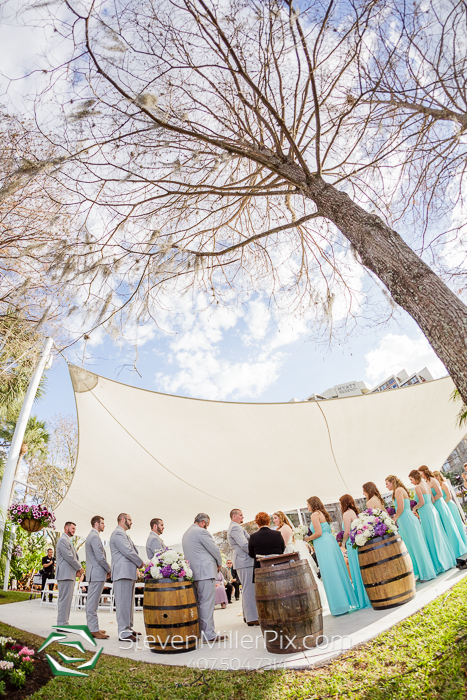 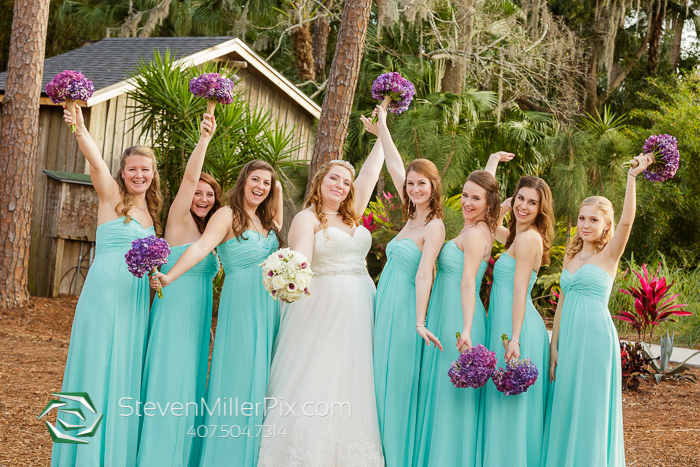 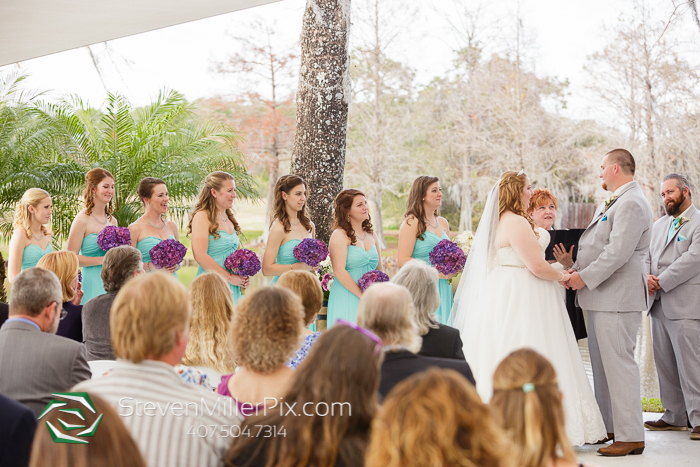 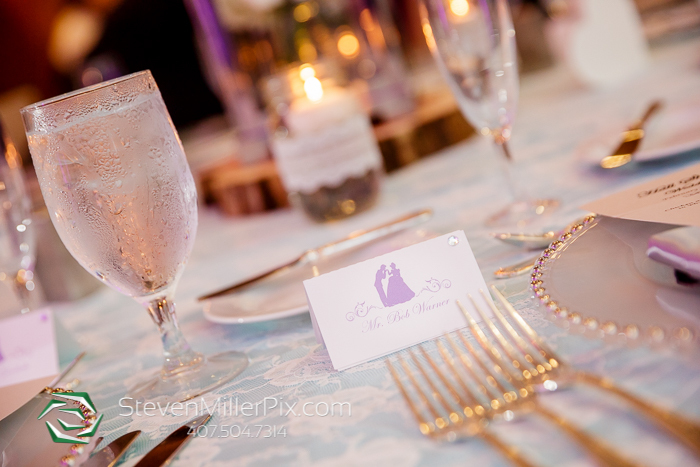 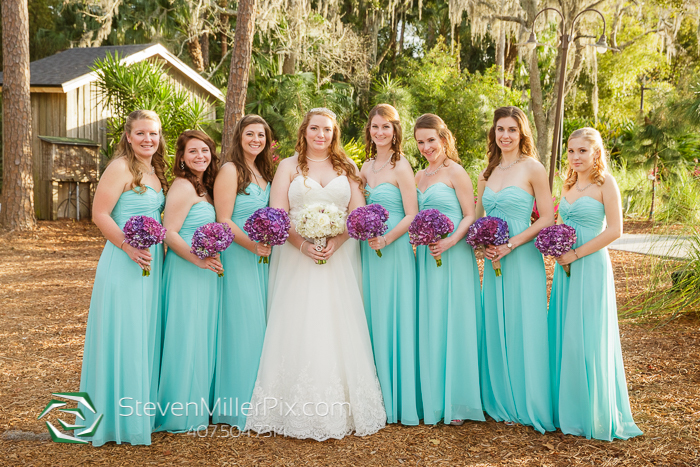 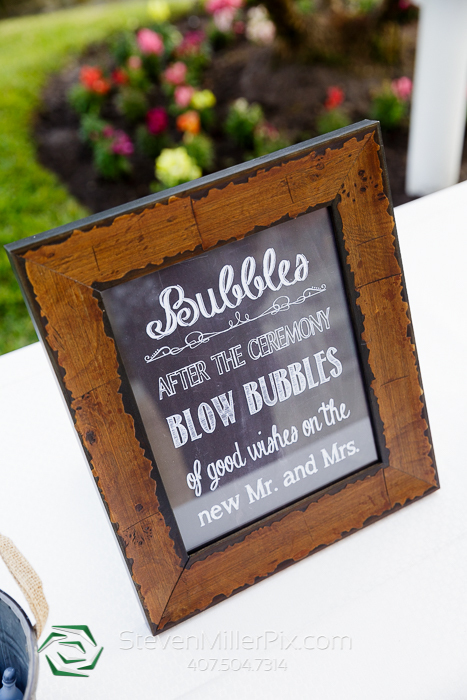 Orlando Wedding Planners: Leanna McDonald, Kim Blanc, Amanda Borerro, and Janice Bernier of Just Marry!